9th Annual Wellness Run Results! Uvalde Memorial Hospital (UMH) hosted its annual Volunteer Appreciation Luncheon on April 11 at Uvalde Country Club. Over 80 volunteers from Uvalde Memorial Hospital’s Auxiliary, Uvalde Hospice, and Friends of Uvalde Hospice Thrift Store attended to celebrate the past year’s accomplishments. UMH auxiliary volunteer Shirley Grigg opened the program with a prayer and hospital human resource officer, Charla Carter, welcomed and thanked all in attendance. Sherry Martinez, volunteer coordinator, also welcomed everyone and thanked them for their service to the hospital and hospice programs. Martinez commended the volunteers for unselfishly giving their time and encouraged everyone in the room to continue to recruit new volunteers. Over the last year the hospice volunteers clocked 1,801 hours, thrift store volunteers accumulated 5,930 hours, and the hospital auxiliary totaled 7,950 hours. The cumulative total for the three groups was 15,681 hours, and Carter pointed out those hours are equivalent to 8 full time employees and a $387,000 savings in salaries for UMH. One member from each group shared their testimony with the crowd. Eddie McKinney, auxiliary president, Wanda Jacobs, Friends of Hospice Thrift Store, and Brittany Batot, hospice volunteer all shared their experiences. Batot shared her moving story of volunteering with her first hospice patient and stated, through tears, even after her patient’s passing she remains close to the family. Batot brought the patient’s daughter as her guest to the banquet. Carter recognized Shirley Grigg, Glenda Snow, and Linda Hubbard for being the top volunteer for their respective organizations. Grigg had 1,499 hours with the hospital auxiliary; Snow dedicated 1,075 hours to the hospice program, and Linda Hubbard committed 509.5 hours to the thrift store. The individuals were presented with gifts as a thank you for their service. Venesa Davila, thrift store manager, also thanked all of the volunteers for their commitment. She applauded them for their willingness to provide service without expectation of recognition. Davila recognized top volunteers for the Hospice Thrift Store as: Linda Hubbard with 509.5 hours, Ana Rocha with 501 hours, and Maricela Hernandez with 411.25 hours. Each recipient was presented with a certificate and a bouquet of roses. To conclude the luncheon, Davila and thrift store board president Tony Grueben presented a check for $20,000 to Uvalde Hospice Foundation. Hospice director, Heidi Mathewson, hospice medical director, Sameta Sosa, M.D., and Joe Navarro, hospice social worker, received the check on behalf of the foundation. The Uvalde Hospice Foundation was established seven years ago and uses funds donated through memorials, raised at the Friends of Hospice Thrift Store, and given by people in the community, to cover the costs of miscellaneous items needed by patients under hospice care. The foundation helps to pay for things such as utility bills, clothing, household items, and any other expense that would help make the patient more comfortable and give them peace of mind during their illness. May is national Mental Health Awareness month. A topic that often carries a heavy stigma, mental health is not a character flaw, nor a weakness. Mental illness does not discriminate by age, race, religion, or socio-economic status. It impacts a large number of people in communities across the globe and it is important that a community work together to overcome the stigma and educate people regarding mental illness. An educated community is a healthy community. Merriam-Webster defines stigma as a mark of shame or disgrace regarding a person’s circumstance. Often times stigma exist as a result of lack of understanding or misconceptions. When a person suffers from a mental illness the impact of stigma can have lasting, harmful effects. Some people may be reluctant to seek and accept help for fear others will discriminate against them because of their mental illness. As a result the illness goes untreated and the symptoms become progressively harder to manage. Just like any other physical illness, when left untreated, mental illness can have a significant impact on the individual, family members, and the community. With the proper treatment people with mental illness can live successful, productive lives. In an effort to overcome the stigma of mental health issues, Uvalde Memorial Hospital’s Crossroads Behavioral Health program is hosting a Healthy Minds Matter Conference on Thursday, May 9 from 5pm-7pm at Ssgt. Willie De Leon Civic Center. The event will bring together professionals, caregivers, parents, friends and community members who are affected by mental or behavioral health. This is an opportunity to explore the truth, discuss the reality, and move towards a healthier future as a community. Working together, the community can overcome mental health’s negative stigma. The event will feature keynote speaker Sue Klebold, mother of Dylan Klebold, one of the gunman responsible for the Columbine High School shooting in 1999. In the aftermath of the worst high school shooting in history, at the time, Sue struggled with grief and humiliation. Her search for understanding spanned over 15 years and she has emerged a passionate advocate, dedicated to the advancement of mental health awareness and intervention. Sue is a New York Times bestselling author, has appeared on numerous national media outlets, and presents at conferences across the nation. The event will also feature breakout sessions on adolescent and teen mental health, addiction and opioid use, stress and coping skills and Alzheimer’s/ dementia for caregivers. Professionals in each field will present on the topics and allow additional time for questions and answers in each session. For more information on Healthy Minds Matter, contact Karla Radicke at (830) 278- 6251 extension 1037. The Uvalde Memorial Hospital Auxiliary met for their monthly meeting on Monday, February 4. President Eddie McKinney called the meeting to order and Shirley Grigg led the group in prayer. Janet Hynes then shared the thought for the day. Guest speaker for the meeting was Detective Michael Wally with the Uvalde Police Department. Detective Wally previously spoke to the group in December and was invited back to continue his presentation and discussion on frequently used scams. Detective Wally covered information groups or individuals who falsely pose hostage situations, charity cases, phishing emails, and forms of solicitation. Barbara Hogan read the minutes from January’s meeting and Barbara Blair gave the treasurer’s report. Shirley Grigg shared the gift shop report and noted a discrepancy from last meetings report to be corrected. Maria Lugo reported that the Auxiliary has a total of 44 active members for the membership update. Sherley Wentz, chairman of the scholarship committee, discussed proposed changes to the scholarship application process. The group tabled the item for further review and discussion before it will be voted on at the March meeting. Wentz also shared the beautification report. Charla Carter gave the group more information about the scholarship committees proposed changes and answered questions. Tom Nordwick, CEO, shared updates on the hospital’s building project. Nordwick said Perkins+Will, the architectural firm for the project, will be on site the week of February 11 for the final design development phase of the project. Following those meetings, the architectural firm will work behind the scenes with Hoar Construction to finalize details and release a guaranteed maximum price in, or before, May. Preliminary land clearing could begin as early as March but a ground breaking for the project will take place in the fall of 2019. Karla Radicke shared public relations and events updates with the group. Radicke said that UMH is celebrating American Heart Month with a full slate of events scheduled. Screenings for blood pressure will be offered, off-site, at Herby Ham Activity Center on February 21 and Uvalde County Nutrition Center on February 28, each from 9-11am. UMH will host two Stop The Bleed courses on Monday, February 18; one from 9:00-11:00am and another from 5:30-7:30pm. Both are open to the public and free of charge, but RSVP is required by calling 830-278-6251, extension 1038. Radicke also shared that Walk With A Doc for American Heart Month will be on Saturday, February 23 at 9am at Uvalde Memorial Park. It is a safe, fun walk open to the public and free of charge. This month Shotgun Crossfit, Big Oak Crossfit, Pure Fitness, and Snap Fitness will also be on hand to join the walkers in a warm up, basic exercises, and a cool down. Radicke reminded the group to check the hospital’s Facebook page or website for details on any of the upcoming events. The Uvalde Memorial Hospital Auxiliary’s next meeting will be held on Monday, March 4 at 10:00am in the Wrather Holmgreen Conference Room. For more information on becoming a member of the Auxiliary, please contact Charla Carter, volunteer services director, at (830) 278- 6251 extension 1435. Uvalde Memorial Hospital is celebrating American Heart Month throughout February. According to the American Heart Association, cardiovascular diseases accounts for about 1 out of every 3 deaths in the U.S., and heart disease, specifically, is the number one cause of death in the U.S. About 92.1 million American adults are living with some form of cardiovascular disease or the after-effects of stroke. AHA recognizes “Life’s Simple 7” as seven key health factors and behaviors that increase risks for heart disease and stroke: smoking, physical inactivity, nutrition, overweight/obesity, cholesterol, diabetes, and high blood pressure. But, do not let the daunting statistics overwhelm you. “There are many things individuals can do on a daily basis to better their heart health, many of which take very little effort,” states Dr. Shawn Ragbir, local cardiologist. Locally, cardiology services are offered through the Cardiology Clinic of San Antonio at their office located in the Kate Marmion Regional Cancer Medical Center on Garner Field Road. At the office, board certified cardiologist Dr. Shawn Ragbir treats patients Monday- Friday and has grown to love the Uvalde and surrounding area over the last 2 years. Raise your good cholesterol for free – just exercise! Be cautious of chronic use of pain medications like ibuprofen, which can increase your blood pressure. Know that heart disease is the #1 cause of death in women and familiarize yourself with symptoms. Lower your blood pressure with exercise. Regular exercise can decrease your blood pressure as much, or better than, some medications. Watch your weight. •	Quit smoking and stay away from secondhand smoke. Dr. Ragbir will be talking in detail about heart disease, the risk factors, prevention and more at the hospital’s upcoming Heart to Heart, a forum on heart health. The event will take place on Tuesday, February 12 from 5:30-7:00pm at El Progreso Memorial Library. Celebrate heart health more in depth with Dr. Ragbir as he candidly covers women and cardiovascular disease, microvascular heart disease, Broken Heart Syndrome, and whether or not baby aspirin is a daily necessity. Dr. Andrezj Stypko will also be on hand to touch on the relation of diabetes to heart disease and the importance of wound care and regular foot exams for individuals diagnosed with diabetes. Dr. Stypko is board certified in family medicine and specializes in wound care and diabetic care. In addition, Dr. Gregory Baber will also be present and will share the strong relation of oral health to cardiac health. Join the physicians for an open, understandable discussion and short question and answer session. The evening will be free of charge, open to the public, and include free blood pressure checks, free A1C testing if desired, light refreshments, and giveaways. Heart disease is the leading cause of death for both men and women. To prevent heart disease and increase awareness of its effects, Uvalde Memorial Hospital is proudly participating in American Heart Month. In Texas, the Centers for Disease Control (CDC) reported over 45,000 deaths in 2017 from heart disease. In addition to being the state’s leading cause of death, Texas ranked 18th nationally for heart disease deaths. UMH will be spreading awareness throughout the month kicking off with offering blood pressure checks around the community each Thursday. On February 14, start your Valentine’s Day with a free blood pressure check in the hospital’s registration lobby from 9:00-11:00am. On this date free A1Cs will also be administered to individuals who wish to participate. This simple blood test measures average blood glucose levels for the past 3 months and is used to diagnose diabetes, which tends to lead to heart disease. The following Thursday, February 21, find UMH staff at the Herby Ham Adult Activity Center and then at the Uvalde County Nutrition Center on Thursday, February 28. Free blood pressure checks and heart health tips will be offered at each location from 9:00-11:00am. Celebrate heart health more in depth with board certified cardiologist Dr. Shawn Ragbir at UMH’s Heart to Heart forum on Tuesday, February 12 from 5:30-7:00pm at El Progreso Memorial Library. Dr. Ragbir will candidly cover women and cardiovascular disease, microvascular heart disease, Broken Heart Syndrome, and whether or not baby aspirin is a daily necessity. Dr. Andrezj Stypko will also be on hand to touch on the relation of diabetes to heart disease and the importance of wound care and regular foot exams for individuals diagnosed with diabetes. Join the physicians for an open, understandable discussion and short question and answer session. The evening will be free of charge, open to the public, and include free blood pressure checks, free A1C testing, light refreshments, and giveaways. The following week, join UMH trauma coordinator Nelson Dungo for a Stop The Bleed course. This class is designed to teach bystanders to become trained, equipped, and empowered to help in a bleeding emergency until professional help can arrive. It is great for any community member who wishes to be prepared in the case of emergency including car accidents, shootings, or similar scenarios in which extensive blood loss could occur. Excessive blood loss can lead to death within five minutes so this course could truly save someone with life threatening injuries. The course will be offered twice on Monday, February 18 from 9:00-11:00am and again from 5:30-7:30pm at the hospital in the Wrather Holmgreen Conference Room. Both courses will be open to the public and offered free of charge, but a reservation is necessary so call 830-278-6251 extension 1038 to save your seat. The last week of the month, UMH will be celebrating again with Dr. Shawn Ragbir as he hosts Walk With A Doc at Uvalde Memorial Park on Saturday, February 23 from 9:00-10:00am. This is an opportunity for a fun, safe walk where you can learn about health and meet new friends. Big Oak Crossfit, Pure Fitness, Shotgun Crossfit, and Snap Fitness will all be on hand also to celebrate American Heart Month and teach basic exercises. Meet under the park pavilion. “We’re excited to have a full slate of events to celebrate American Heart Month with our community,” stated Tom Nordwick, UMH chief executive officer. “Each event that we are hosting is open to the public and free of charge, and with heart disease as the leading cause of death in Texas, and across the nation, we hope that our community members will join us throughout this month to learn more and take a proactive approach to their heart health,” Nordwick added. Visit Uvalde Memorial Hospital’s website at www.umhtx.org or Facebook page at www.facebook.com/uvaldememorial for additional details on each event. Uvalde Memorial Hospital’s (UMH) rehabilitation department and cardiopulmonary department have teamed up to bring the community Cardiac Rehabilitation (cardiac rehab) services.The initiation of a cardiac rehab program is something the community will benefit from in multiple ways, providing future and health and wellness for patients who previously would have had to travel to San Antonio or further for care. “When we stop to consider that heart disease is the leading cause of death in the United States, it’s easy to realize why cardiac rehab is an important service to offer this community,” said Felisha Tinker, UMH cardiopulmonary manager. The new program is under the medical direction of Dr. Shawn Ragbir, board certified in internal medicine with a specialty in cardiology, and Dr. Andrzej Stypko, board certified in family medicine with a specialty in wound care, including diabetic care. Cardiac rehab is a program that uses exercises provided by the rehab department with a specific focus on the heart. The exercises are completed with a physical therapist all while having the heart monitored on a telemetry unit that transmits the patient’s heart rate and rhythm to a computer that is being watched by a certified respiratory technician skilled in Advanced Cardiovascular Life Support (ACLS). If a patient qualifies with one of the above diagnoses, their physician completes a referral to start the program. Medical directors, Dr. Ragbir and Dr. Stypko, will then review and sign off on the cardiac plan of care. The initial visit for a cardiac rehab patient includes an assessment on diet, previous activity level, lifestyle, and potential psychological issues that might prevent future success. “One of the goals of cardiac rehab is to take a holistic approach to the patient, and address any potential needs that might interfere with long term success. It does the patient no good if they have a bypass surgery and then go back to their previous habits; it just puts them back at square one,” Tinker stated. Each session is designed specifically for the individual patient and their plan of care takes into consideration their age, current diagnosis, activity level, and more. Generally, new patient intakes are done on Thursday and regular sessions are Monday, Wednesday, and Friday. An appointment is 30-60 minutes long and patients are seen 36 times over a 3-month period. During each appointment the patient’s blood pressure, oxygenation, and heart rate are monitored continuously. The respiratory technician watches to ensure the heart rates remain at 50-75% of the patient’s max capacity throughout the session and can identify any irregular heart rhythms should they occur. “The only way to truly get better is to be compliant with the treatments. By having a local option we hope that it will encourage that compliance and foster commitment for those patients who would otherwise have to travel into San Antonio. The travel can be a real hardship, and difficult to keep up with, and the reality is, due to having to travel, community members may not have remained faithful to the exercise regimen in the past. We want to change that with offering those services needed here in their hometown,” stated Matthew Hughes, UMH director of rehabilitation. Patients that stay faithful to a cardiac rehab program show reduced risk for reoccurrence and reduced mortality rates. “We are a small, rural community, but fortunate to have a regional hospital that provides services not only to our Uvalde family, but also beyond a 100-mile radius to the five other counties we serve. A specialized service like cardiac rehab previously required an individual to trek to San Antonio and this is the perfect example of a specialized service with local convenience,” added Hughes. The team began seeing patients in mid-January and is working towards a full patient load in February, just in time to celebrate American Heart Month. During the 64th Annual Texas Vital Statistics Conference, held December 10-12 in Austin, TX, Uvalde Memorial Hospital received 2 prestigious state awards. Norma Castro, birth registrar, and Grace Gonzales, clerk, of Uvalde Memorial Hospital’s health information management (HIM) department, accepted the Five Star Service Award from the Texas Department of State Health Services’ vital statistics unit and the Office of Attorney General Award for Acknowledgement of Paternity. 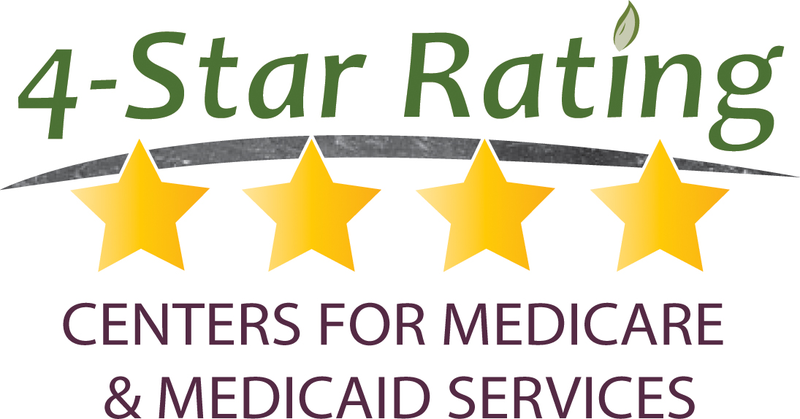 The Five Star Service award is given to only those hospitals in the state that have met a list of criteria for qualification set by the vital statistics unit. 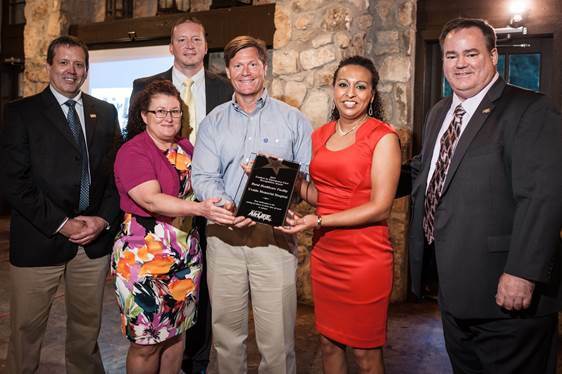 Uvalde Memorial was placed in the Exemplary Winners category meeting 100% of criterion. Only 13 other hospitals in the state fell into the exemplary category and an additional 53 were recognized for meeting 97% of criterion. This year’s honors marked the 17thconsecutive year the hospital has received the award. Qualifications include legal and statistical measurements on all birth registrations completed, timeliness of birth registrations of babies born at the hospital, and training standards of birth registrars at the facility. Hospitals must also have been recipients of the Office of Attorney General Award for Acknowledgement of Paternity and Department of State Health Services ImmTrac Award for Excellence in 2018 to qualify. The Office of Attorney General Award for Acknowledgement of Paternity was also received at the convention. To achieve the paternity acknowledgement criteria, birth registrars must complete the 71% state average or higher of potential Acknowledgement of Paternity (AOP) from October 1, 2017 through September 30, 2018. It may surprise many people to learn that 25 percent of those who die every year in the U.S. are Veterans. To help provide care and support that reflect the important contributions made by these men and women, Uvalde Memorial Hospital Hospice (UMH Hospice) has become a national partner of We Honor Veterans, a pioneering campaign developed by National Hospice and Palliative Care Organization in collaboration with the Department of Veterans Affairs. As a We Honor Veterans partner, UMH Hospice will implement ongoing Veteran-centered education for their staff and volunteers to help improve the care they provide to the Veterans they proudly serve. The nation is seeing many of the Veterans who served in World War II and Korean pass away—and the number of deaths of Vietnam Veterans is beginning to rise. The We Honor Veteranscampaign provides tiered recognition to organizations that demonstrate a systematic commitment to improving care for Veterans. “Partners” can assess their ability to serve Veterans and, using resources provided as part of the campaign, integrate best practices for providing end-of-life care to Veterans into their organization. By recognizing the unique needs of our nation’s Veterans who are facing a life-limiting illness, UMH Hospice is better able to accompany and guide Veterans and their families toward a more peaceful ending. And in cases where there might be some specific needs related to the Veteran’s military service, combat experience or other traumatic events, UMH Hospice will find tools to help support those they are caring for. The resources of We Honor Veteransfocus on respectful inquiry, compassionate listening, and grateful acknowledgment, coupled with Veteran-centric education of health care staff caring for Veterans. To learn more about We Honor Veteransor to support this important work via a secure, online donation, please visit www.wehonorveterans.org. “VA shares a common goal with our nation’s hospices, and that is to provide the best possible care specifically tailored for Veterans, meeting their goals of care in their preferred setting. As we focus on working together and unite our services and skills, We Honor Veteranswill channel our combined strengths directly to Veterans - wherever they are receiving care,” added Banach. Uvalde Memorial Hospital is proud to recognize the innovation, quality of care, and dedication of health professionals and volunteers during National Rural Health Day (NRHD) 2018. National Rural Health Day falls on the third Thursday in November each year and recognizes the efforts of those serving the health needs of over 60 million people across the nation. The hospital kicked off the week with their second “Walk With a Doc” hosted by Dr. Shawn Ragbir at Uvalde Memorial Park last Saturday, November 10. Dr. Ragbir is a board certified cardiologist with Methodist Cardiology Clinic of San Antonio and offices full-time in Uvalde. The walk, which is hosted every other month, is open to community members and starts with a brief gathering to cover a health topic and then a 3—60 minute walk. This week guest speaker Dr. Erika Garcia spoke to the group about portion control and healthy eating. UMH also celebrates the dedication of rural healthcare professionals this week with emergency room nurse Scott Reavis, RN being named as an honoree for the Best 25 Nurses of South Central Texas. Recognized by the South Central Texas Organization of Nurse Executives (SCTONE) who promotes nursing excellence in clinical practice, education, research, and leadership, this competitive award is given to only a select group of nurses for excellence in the art and science of nursing. Reavis will be honored later this week at an event at the Plaza Club in San Antonio on November 17. NRHD also highlights the quality of care in rural facilities and UMH is proud to celebrate multiple recent achievements centered on the care provided by its staff. The hospital was named to Modern Healthcare’s Top 100 Places to Work list in May of 2018 and then recognized at the company’s annual awards banquet in September with a ranking of number 21 on the nation-wide list. 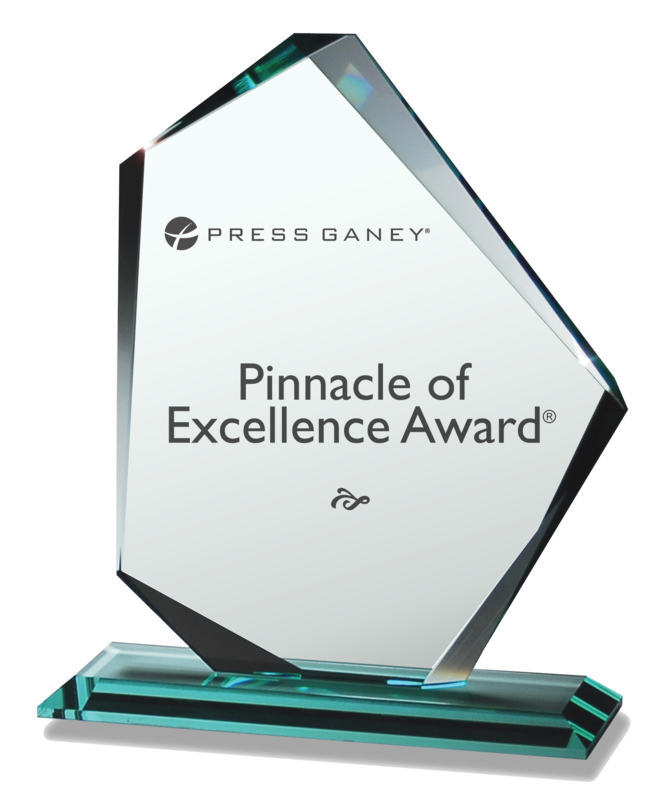 In addition, just this week Press Ganey named the hospital as a 2018 Guardian of Excellence Award winner and a 2018 Pinnacle of Excellence Award winner. The hospital works with the group annually to measure employee satisfaction and this year’s awards were received for achieving the 95thpercentile or above in employee engagement and consistently high levels of excellence for the last three years in employee engagement, respectively. Press Ganey is a national company that pioneered the health care performance improvement movement more than 30 years ago and UMH is ranked among facilities of all sizes across the nation to qualify for the awards. “The hospital’s recent awards and the recognition of Scott from our emergency department are a true testament to the quality of care that we strive to offer our community and patients every single day,” said hospital CEO Tom Nordwick. As rural health care facilities across Texas struggle to keep their doors open, UMH has even more to celebrate Nordiwick says. The Texas Organization of Rural & Community Hospitals (TORCH) released findings that changes in healthcare are “taking damaging tolls on the ability of Texas rural populations to access health services.” Generally, the report shows, rural hospitals serve older, poorer, and sicker patients. Populations that have significantly higher uninsured rates and large numbers of individuals battling chronic conditions also make healthcare challenging in rural areas and 16 rural facilities have been forced to close their doors in the last 4 years alone. While UMH has undoubtedly felt the affects of each of these factors, the hospital is a standout amongst its rural hospital peers. The board of directors has been diligent financial stewards to ensure continued success in an uncertain healthcare environment and the hospital’s medical staff and leadership team have worked to make sure top of the line diagnostic technology and equipment is available throughout the facility. While other rural facilities are looking to telemedicine or conversion to a freestanding ER, UMH is in the process of a new building project. “National Rural Health Day is a great time for us to remember what an incredible asset it is to not only have access to healthcare in a rural setting, but to have access to top of the line care that rivals any big city facility. That’s not something many rural areas in the nation can claim anymore and we are proud to be serving this area,” Nordwick said. Uvalde Memorial Hospital has again begun the process of completing a Community Health Needs Assessment (CHNA). The project is done every three years to complete an objective and comprehensive study of the overall health status of the hospital’s service region. The first part of the assessment includes an economic impact study, a detailed look at the hospital and it’s services, and reports on demographics within the hospital’s medical service region of Edwards, Kinney, Real, Uvalde and Zavala counties. All of these components combined are used to analyze the healthcare needs of residents in the area. A large component of the study includes community feedback and the hospital invites and encourages all residents within the five county service region to complete the CHNA survey before November 30, 2018. The survey will be a key indicator in determining the overall health status of the service area, identifying the most pressing health-related needs, and will help the committee develop recommendations based on the findings. The survey is open to the public and can be obtained by hard copy at the hospital or taken online at https://www.research.net/r/UMHCHNA2018. The hospital will look to survey results for assistance in prioritizing the needs they identify and will adopt an implementation strategy to meet those needs. Results from the assessment will be made available to the public and will be reported in accordance with federal requirements by the end of the calendar year. Under the ACA the CHNA is a requirement for not-for-profit hospitals every three years. If you are interested in completing a survey please visit www.umhtx.org, hhtps://www.research.net/r/UMHCHNA2018, or the hospital’s administration office.You may also call (830) 278-6251 extension 1038 or email k.radicke@umhtx.org to obtain a copy. The Uvalde Memorial Hospital Auxiliary met for their monthly meeting on Monday, November 5. President Eddie McKinney called the meeting to order and Shirley Grigg led the group in prayer. Janet Hynes then shared the thought for the day. The group did not have a guest speaker for the month of November but plans to hear from Denise McWilliams, the hospitals director of infection control and employee health, in December regarding vaccination availability and schedules. Barbara Hogan read the minutes from October’s meeting and Barbara Blair gave the treasurer’s report. Shirley Grigg shared the gift shop report and updated the group on increased sales for the month of October. Barbara Hogan reported that the Auxiliary has a total of 45 members, including 3 whom are inactive, for the membership update. Sherley Wentz had no changes from the scholarship committee but spoke to the group about ordering pansies on behalf of the beautification committee. The Auxiliary’s annual Christmas Tea is set for Thursday, December 6 at 9am in front of the Gift Shop. They will also host a silent auction that same day from 9am-4pm. Charla Carter gave the group a brief update on the status of the new hospital building project. She shared that the project is still in progress as the construction company and architects are working to finalize layout details and will come back later in the month of November to bring revisions and updated renderings to hospital leadership and staff. Karla Radicke shared public relations and events updates with the group. Radicke said that Medicare Forums for the public would be hosted again on November 13 and December 6, a babysitter training certification course will be held on Monday, November 19 while students are on Thanksgiving break, the hospice team is hosting an open house to celebrate National Hospice Month on November 27, and the hospital’s annual open house, including pictures with Santa, would be on Tuesday, December 4 from 4pm-7pm. The Uvalde Memorial Hospital Auxiliary’s next meeting will be held on Monday, December 3 at 10:00am in the Wrather Holmgreen Conference Room. For more information on becoming a member of the Auxiliary, please contact Charla Carter, volunteer services director, at (830) 278- 6251 extension 1435. Pictured: L-R: Tom Nordwick, hospital CEO; Monica Gonzales, CHDI board president; Rachel Gonzales-Hanson, CHDI CEO; Dr. Monica Gutierrez, UCHA board president. Through this resolution the hospital’s board, physicians, administration, and staff recognize your leadership in providing excellent healthcare for the community. Your services help ensure residents have access to great care that is needed and deserved. We sincerely thank you for the outstanding dedication you have unselfishly given, throughout the years, to those you serve each day. The Uvalde Memorial Hospital Auxiliary met for their monthly meeting on Tuesday, September 4. President Eddie McKinney called the meeting to order and Shirley Grigg led the group in prayer. Janet Hynes then shared the thought for the day. Maria Vela introduced the group’s guest speaker, Mendell Morgan, for the meeting. Mr. Morgan is the director of El Progreso Memorial Library in Uvalde. Morgan comes to Uvalde from San Antonio where he retired as the Dean of Library Services for the University of Incarnate Word after 33 years of service. He holds a masters degree in American Library Studies. Morgan shared with the group all of the assets the library has to offer our area. The 36,000 square foot building houses traditional library services but also offers business services like copying, laminating, and faxing, and a meeting room available for community use. In addition, a 3D printer can be used for making posters and blue prints, among other things. An 11 county regional archives run by archivist Virgina Davis is also housed at the library. An extension of the library, “The Oak Street Press”is an online bookstore that Mendell runs for the library. Online sales total 10,000-12,000 books each year and serve as an additional revenue source for the library. Morgan spoke to library’s history, which began in 1903 from the efforts of a group of women who advocated for library services and came to be known as the El Progreso Club. The Club still exists today and meets the second Thursday of each month at 4:00pm. Today, the library is located at 301 West Main Street in Uvalde in a custom building completed in 2004 with a $5.7 million campaign. Morgan concluded by sharing a long list of events taking place at the library within the next month. Activities included ‘Opera Chats’which will be held the first Saturday of each month at 11am, a special display of books related to the events of 9/11, and an author book signing on Wednesday, September 12 from 2-6pm for Katharine Hamilton, Micheal Earney, Marina Garcia, Peg Sundburg, and Monica Dellar. The library also hosts free legal clinics from noon until 3pm on the first Thursday of each month. The service allows qualified individuals to be connected with lawyers about civil matters in a private setting. Many more events are available and details can be found on the library’s Facebook page or website at www.elprogreso.org. Following the presentation, secretary Barbara Hogan read August meeting minutes and treasurer Barbara Blair shared the previous month’s financials. Shirley Grigg gave the gift shop report. Barbara Hogan also gave the membership report and shared that they will be working to update the list of member’s addresses and phone numbers. Members should report any changes to Sherry Martinez at (830)-278-6251 extension 1486. Correspondence director Ann Reagan updated the group on all notes sent throughout the month. The Uvalde Memorial Hospital Auxiliary’s next meeting will be held on Monday, October 1 at 10:00am in the Wrather Holmgreen Conference Room. For more information on becoming a member of the Auxiliary, please contact Charla Carter, volunteer services director, at (830) 278- 6251 extension 1435. After completing Safesitter Babysitter Training Program on august 8, 2018 at Uvalde Memorial Hospital, 4 area youth ages sixth through eighth grade are newly certified for babysitting. Taught by Amy Martinez, the fun and fast-paced class included hands-on activities, videos, role-plays, take-home training materials, and interactive discussion. The course is used to train and certify adolescents nationwide each year and teaches youth safety childcare, and first aid and rescue skills. Students learn how to prevent unsafe situations and what to do when faced with dangers such as power failures or weather emergencies. Childcare skills like tips to manage behavior that will help them stay in control of themselves and the children in their care are also discussed. Students learn the ages and stages of child developments, as well as practice diapering. Additionally, students learn skills such as choking rescue and CPR. A system to help the youth assess and respond to injuries and illnesses is also taught. Finally, the instructor reviews how to screen for babysitting jobs, discuss fees, and greet employers to help set the students up for success. These skills are even practiced through various role-plays during the course. “Safesitter uses hands-on activities and role-plays to help the students learn how to be responsible babysitters,” said Amy Martinez, certified course instructor. Participants included (pictured, L-R) Whitney Whipkey, Gabriela Victorino, Sophia Valerio, and Jessican McLerran. The next Babysitter’s Training course offered by the hospital will be held in the fall. There is a $50 fee per student. Space is limited so please register early to reserve a seat. Attendees should pack a lunch for the all-day class. To learn more or register, contact public relations at 830-278-6251 extension 1038. Maria Vela introduced the group’s guest speaker for the meeting. Elsa and Claudio Valenzuela from New Beginnings, an adult day care center, shared information with the group on their center’s services. The facility offers daytime care from 6:00am –4:00pm and has a maximum capacity of 56 clients. Their current census is 41. New Beginningsis funded by Medicaid but clients can also have private insurance, veteran’s assistance, private pay, or other options. Transportation is available. Their services include meals, snacks, crafts, exercise, and entertainment. The staff also accompanies clients to weekly chores in town such as visits to the doctor’s office or hospital, grocery shopping at HEB or Walmart, or to the bank. New Beginnings also has a full time dietician and licensed vocational nurse on staff. The dietician plans and prepares all meals and snacks to ensure they are nutritious, and the nurse helps with medical concerns and dispersion of medication for the clients. The office is located at 1007 North Getty Street and the Valenzuela’s invited interested individuals or family members to come by anytime for more information or a tour. They can also be reached by phone at 830-591-9351. Following the presentation, Charla Carter, Human Resources Officer and Director of Volunteer Services, introduced fall scholarship recipients to the group. Lyndon Benedict Dyngzon, Priscella Dean, and Marisa Flores were awarded the Auxiliary’s annual fall scholarships. The first two recipients will be entering the second year in the registered nursing program at Southwest Texas Junior College and Flores will be entering her first year in the licensed vocational nursing program. Secretary Barbara Hogan read July meeting minutes and treasurer Barbara Blair shared the previous month’s financials. Blair also shared an invitation from Peterson Health Auxiliary in Kerrville who is hosting the District 8 meeting on September 17. Interested members should contact Charla Carter to register. Sherley Wentz reiterated information on the scholarship recipients and shared the group’s beautification report. Shirley Grigg shared the gift shop report and noted that the gift shop’s bankbook and deposits were stolen from her residence at the end of July. Grigg did a bake sale to raise money to replace what was lost. Barbara Hogan gave the membership report and shared that there are currently 44 auxilians. More volunteers are needed to cover shifts at the information desk on Friday afternoons and various days and times in the social services area. Correspondence director Ann Reagan updated the group on all notes sent throughout the month. Lastly, the group heard from hospital chief executive officer Tom Nordwick. Nordwick gave a report on the current status of the hospital’s new building project and shared that it was behind the originally anticipated timeline by approximately 90-120 days. 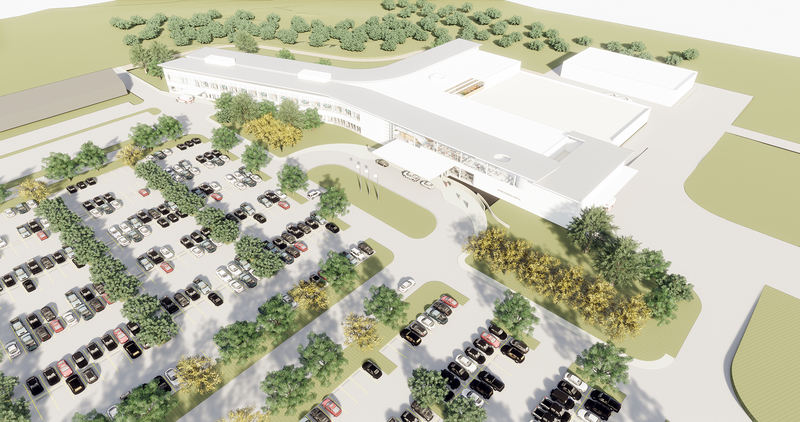 Following the selection of the construction manager at risk, original estimates presented to the hospital were much higher than anticipated so the team has gone back to the drawing board to eliminate unnecessary square footage and pair down costs throughout the proposed facility. He stressed that while the delay might be frustrating, the importance of being good financial stewards for future generations is a priority. He also shared that the hospital has met with state architects to clarify the necessity of new equipment and the process of moving current technology to the new facility. He anticipates cost savings through this process. The New Market Tax Credit program is also being explored which could save the hospital upwards of $3 million on the project. The meeting concluded with hospital updates and events report from Charla Carter and Karla Radicke. For more information on becoming a member of the Auxiliary, please contact Charla Carter, volunteer services director, at (830) 278- 6251 extension 1435. Clear Springs Center for Cancer Care, located at 1195 Garner Field Road Suite 100, made a donation of nearly $600 in school supplies to UCISD’s Stuff the Bus campaign. The office was not a drop off site but Dr. Charles Brooks, radiation oncologist, and his staff heard about the project and personally donated supplies to the district. Their donation outweighed (literally and figuratively!) that of any of the designated collection sites so the district made a special stop to pick it all up yesterday. Pictured (L-R) are CSCCC staff Alicia Swimley, Danielle Ardolino, Dr. Charles Brooks, John Lara, and Chelsea Lopez and UCISD representative Teresa Hillyear. Uvalde Memorial Hospital ended a ten month struggle with Blue Cross Blue Shield of Texas (BCBS) at the end of June, signing a contract with the insurance provider. The issue began last September when the Employee Retirement System (ERS) of Texas awarded a six-year contract to BCBS impacting healthcare providers and State of Texas employees across the state. ERS manages health insurance plans for state employees, retirees, and their dependents. Effective September 1, 2017, coverage changed for ERS participants, previously covered under HealthSelect of Texas administered by United Healthcare, to BCBS’s Blue Essentials network. Locally, this change affected nearly 1,200 individuals. Following the contract deal with ERS, BCBS responded by approaching healthcare providers throughout the state with contract changes. Last October BCBS proposed a contract decreasing the hospital’s reimbursement by 13% from the previous contracted rate, a rate that already fell substantially below the Medicare rate. “To accept a commercial insurance rate below the Medicare fee schedule would not lead to a sustainable business model,” hospital chief financial officer Valerie Lopez stated upon receipt of the proposal. The hospital board of directors and leadership continued to work diligently each month to review BCBS proposals and come to fair terms. In the mean time, services were still rendered to individuals covered by the BCBS Blue Essentials plan but those patients incurred out-of-network rates translating to higher deductibles and out-of-pocket fees. “We are working diligently to reach an agreement that allows state employees to receive healthcare locally. We are not pleased that these members of our community have to pay increased amounts or travel outside of their hometown to receive in-network care,” hospital chief executive officer Tom Nordwick stated last December. The effort to come to fair contract negotiations with BCBS has not only been felt locally. Multiple reports show healthcare facilities across the nation have struggled to reach fair terms with BCBS over the last 18 months. At a healthcare conference in March, a representative from Christus Santa Rosa Health System described BCBS as “non-negotiable” for large hospital systems and emphasized that the burden on rural facilities is even larger. With the hospital’s agreement to the contract terms in June, UMH requested immediate coverage for individuals with insurance provided through ERS. However, BCBS stated coverage would not be instated until August 1, 2018. Despite the delay, care for state employees covered under the BCBS Blue Essentials network will officially be considered in-network now, a relief to the hospital and the patients alike. Uvalde Memorial Hospital board of trustees appointed new officers at their monthly meeting on July 24. Raul Zamora ended his term as board president and was honored at the meeting with a resolution in recognition of 38 years of dedicated service as a trustee and most recently as board president. Zamora has served on the board of directors for the hospital since December 1980 and his most recent term as president from July 1, 2017 through June 30, 2018. Presenting the honor to Mr. Zamora was incoming president Monica Gutierrez, PhD. Dr. Gutierrez will serve as president from July 1, 2018 through June 30, 2019. Other new officers include William A. Kessler, Jr. as vice-president and Benjamin Elliot as secretary and treasurer. Sandra Boenig, D.O. will be serving as Chief of Staff for the hospital’s active medical staff. Dr. Boenig is a board certified general surgeon with Uvalde Medical and Surgical Associates. Outgoing Chief of Staff is Dr. Jared Reading. Also serving on the board of trustees for the hospital are Kelly Faglie, Hector Gonazales, PhD, and G.V. Gaitonde, M.D. A seven-member board of directors governs the Uvalde County Hospital Authority. The Uvalde County Commissioners’ Court and the Uvalde County Hospital Authority appoint trustees. Uvalde Memorial Hospital will be celebrating the continued success of the Kate Marmion Regional Cancer Medical Center (KMRCMC) on Tuesday, August 7 with a community wide Open House. The public is invited to tour the facility and medical offices, and meet the specialty providers from 4:00- 6:00pm. August marks the seventh anniversary of the KMRCMC opening on August 17, 2011. The building was the result of the Saving Lives Close to Homecapital campaign project that raised 5.4 million dollars to bring the first radiation oncology therapy center to South Texas and expanded specialty care to the region. The facility has a nine-county service area that includes Uvalde, Edwards, Kinney, Real, Zavala, Dimmit, Maverick, Medina, and Val Verde counties. The project kicked off with the late former Texas Governor Dolph Briscoe and his daughter Janey Briscoe Marmion giving the campaign’s lead gift of $1.2 million in memory of the governor’s granddaughter and Janey’s daughter, Kate. Countless other generous donors followed suit and showed their commitment and foresight to bringing expanded healthcare services to the region for generations to come. Today, ten different providers covering a range of seven specialties occupy the building. Each of the seven medical office suites located in the KMRCMC will be open to the public for the Open House and community members are invited to come tour the facility and meet the providers. Suite 100 houses Clear Springs Center for Cancer Care, the radiation oncology team led by medical director Charles A. Brooks, M.D. Dr. Brooks is new to the practice, arriving in Uvalde in May, and the practice has seen increased patient numbers since his arrival. Texas Oncology occupies Suite 200. The team provides hematology and medical oncology services including chemotherapy and infusion. Dr. Slavisa Gasic is the practice’s primary physician and has practiced in Uvalde since March 2016. Suite 300 is the largest of the facility and houses providers with Uvalde Medical and Surgical Associates (UMSA). A team of three orthopedic specialists and a general surgeon fill the office space. The orthopedic team is made of Dr. Jack Conoley, Dr. Andrea Barrett, and Ryan Teague, PA. The team has over 10 years of experience in practice in Uvalde with start dates of 2010, 2015, and 2017, respectively, and over 20 years total experience in the fields of orthopedics and sports medicine. Dr. Sandra Boenig, board certified general surgeon, joins them in the space. Dr. Boenig specializes in breast surgery and has been with UMSA since 2010. Suite 400 of KMRCMC is occupied by Methodist Cardiology Clinic of San Antonio. Medical director Fernando Triana, M.D. has been treating patients in Uvalde since the 90s. Today, Dr. Shawn Ragbir sees patients on a full time basis in the office. Family and internal medicine specialists Dr. Isaac Sosa and Cheryl Rabe, FNP-C are located in suite 500 and 600. Their practice is part of Uvalde Medical and Surgical Associates and together they treat patients of all ages. Dr. Sosa has more than 25 years of experience serving patients in the region. The final suite, 700, is South Texas Women’s Health and Medical Spa owned by Dr. James Meyer. Dr Meyer has officed in Uvalde since 2007. He specializes in women’s services including gynecology and aesthetics. All suites in the KMRCMC have convenient access to diagnostic imaging, laboratory services, and pharmacy services through the hospital to streamline care for the physicians and improve the patient experience. Join the hospital in celebrating the KMRCMC on Tuesday, August 7 from 4-6pm at 1195 Garner Field Road. Refreshments will be served. Uvalde Family Practice Association and Uvalde Memorial Hospital are pleased to announce Andrew M. Rahaman, M.D. will be joining the medical staff team in August. Dr. Rahaman will enter Uvalde Family Practice Association (UFPA) where he will practice family medicine. He will be joining medical director Lawerence P. Wegrzyn, M.D. and Cherie L. Hauptmeier, D.O., along with nurse practitioners Lauren Rothe, Kimberly VanDalen, and Jane Champion. “Dr. Rahaman is going to be a great addition to our team. I am so impressed with his medical knowledge and his commitment to patient care,” stated Dr. Wegrzyn. Dr. Rahaman was born a Yankee and raised a Texas, and he’s called Uvalde home since the early 90s. He graduated from Uvalde High School and completed his undergraduate degree at Texas A&M University in College Station in 2007 with a Bachelor of Science in Biomedical Science. He went on to attend medical school at American University of the Caribbean School of Medicine, gaining a medical doctorate in 2013, then continued his studies in residency at Christus Spohn Family Medicine Residency in Corpus Christi. He was awarded Intern of the Year at Christus Spohn in 2016. Dr. Rahaman is board certified in family medicine and will have privileges at Uvalde Memorial Hospital for adult and pediatric admissions, as well as at the local nursing homes. “The city, along with many friends and family here, has helped me get where I am today. It’s now time to give back to what gave to me. I’m passionate about my career, my family, and most importantly God who has given me the gift of helping others and serving in this capacity,” stated Dr. Rahaman. Rahaman and his wife Caroline have two children, Ella Grace, 2 years old, and Mia Giselle, 2 months old. His wife and daughters will all be moved to Uvalde before he begins in August. “We are excited to bring Andrew back to his hometown and have his family join him in calling Uvalde home,” Dr Wegrzyn said. Dr. Rahaman will begin seeing patients August 1 and is currently accepting applications for new patients. New patient applications can be submitted to Uvalde Family Practice Association located at 1800 Garner Field Road. For additional information on becoming a patient, please contact the UFPA office at 830-278-4453. Uvalde Memorial Hospital has partnered with Uvalde Emergency Medical Services Inc. (Uvalde EMS) this year for the purchase of two new ambulances. The hospital gave Uvalde EMS $120,000 towards their purchase of the new units. Both vehicles have arrived and are in use by the Uvalde EMS fleet as of June. Stephen Stephens, director of Uvalde EMS, oversaw the selection and purchase of the vehicles. “Each ambulance in our fleet now contains the most up to date equipment with a cost of roughly $110,000 per ambulance,” Stephens explained. That cost excludes equipment as it is removed from the units being replaced and moved into the new ambulances. “One of the ambulances is an entirely new unit and one was remounted on a new chassis. During this process, the ambulance modular portion was completely refurbished. By utilizing this method, a cost savings of $72,000 was realized over the purchase of a brand new ambulance,” Stephens said. Both ambulances have upgraded safety features for crew and patients. Crew features include five-point safety harnesses that allow patient care to remain the focus while providing complete security to the EMS personnel. For the patients, new $4,500 crash-tested stretcher mounts that secure the stretcher to the ambulance body provide additional safety for the patient. Both units also provide better fuel economy. Fuel cost will be decreased with the use of the new vehicles as they operate on more efficient platforms, especially one of the units. “The Type 2 van ambulance will be used primarily for inter-facility transfers into San Antonio because it is now the most fuel-efficient vehicle in our fleet,” Stephens said. He went on to say that the Type 2 vehicle will also be utilized for 911 responses when needed, as it is equipped identically to the other ambulances in the fleet. Currently, Uvalde EMS has five response ready ambulances in their fleet. 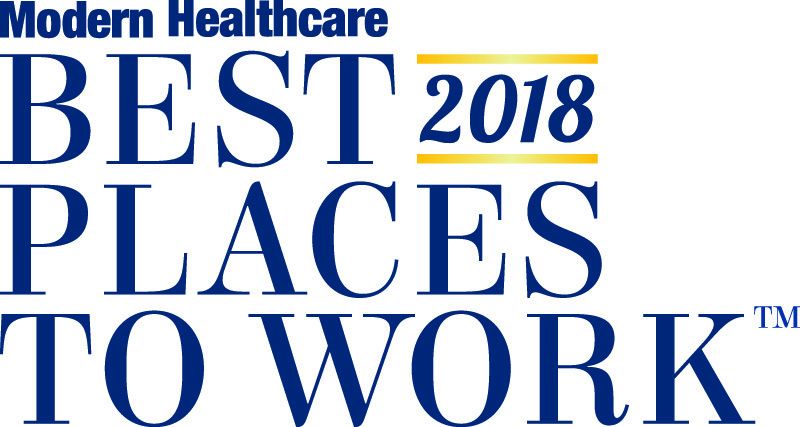 Uvalde Memorial Hospital is pleased to announce it has been named a 2018 Best Places to Work in Healthcare®winner by Modern Healthcare. The list singles out and recognizes outstanding employers in the healthcare industry on a national level. "With unemployment dipping below 4% for the first time since December 2000, employers have their work cut out for them to keep workers happy. Organizations making this year's list of Best Places to Work in Healthcare stand out in their efforts to create an empowered and satisfied workforce,” stated a press release by Modern Healthcare initially announcing those named to the list. The list is named in May and presented to chosen facilities annually each September at an awards dinner in Chicago. Modern Healthcare then publishes individual rankings on the list of 100 healthcare entities in October. “This was our first year to measure employee satisfaction with Modern Healthcare. UMH has been measuring employee engagement with other renowned healthcare agencies, like Press Ganey, for over 10 years and we’ve always ranked in the top percentile,” stated Tom Nordwick, hospital CEO and administrator. “We saw this survey as an opportunity to see how we rank amongst a different peer group to ensure we truly are where we want to be for our employees and out patients,” Nordwick added. Feedback from the report will be used to identify both strengths and concerns or issues within the workplace. Leadership will hone in on weaknesses that the survey pinpointed and address them as opportunities to improve the employees’ work experience. The hospital systematically, by department and as an organization, will prioritize the top opportunities and develop action plans to work with staff to accomplish positive change for each opportunity. The organization strives to fulfill the mission of providing compassionate, high quality healthcare to patients, and hospital administration feels that can only be accomplished through engaged, happy employees. “High employee engagement has a direct correlation to positive customer, in our case patient, outcomes. It is truly a privilege to work with a group of individuals who enjoy what they do and strive to provide the best care possible to our community,” Nordwick added. According to Nordwick, the award represents an important recognition from an industry leader in measuring, understanding and improving the employee and patient experience. After completing the Babysitter’s Training Course on June 5, 2018 at Uvalde Memorial Hospital, 11 area youth ages 11-15 are newly certified by the American Red Cross for babysitting. Taught by Pauline Garcia, clinical and community educator at Uvalde Memorial Hospital, and assistant instructor Amy Martinez, the fun and fast-paced class included hands-on activities, videos, role-plays, take-home training materials, and interactive discussion. The course is used to train and certify over 120,000 babysitters nationwide each year and teaches young people ages 11-15 how to supervise children and infants and perform basic child-care skills such as diapering, feeding, and dressing. The course also teaches how to identify safety hazards and prevent injuries, care for common injuries and emergencies, and how to find and interview for babysitting jobs. “Babysitter’s Training uses hands-on activities, exciting video, and role-plays to help the participants learn how to be responsible babysitters,” said Pauline Garcia, certified course instructor. Participants received the Babysitter’s Training Handbook containing information to use in class and on the job; an Emergency Reference Guide providing step-by-step instructions to handle common emergencies; a CD-ROM including tools such as a printable activity booklet with games, songs and recipes, a resume template, and more. Participants included Ashlynn Aviles, Ahlaynah Barrients, Jonnathan Cazarez, Jackson Evans, Kayleigh Griffin, Samuel Martinez, Ligia Perry, Peyton Phillips, Victoria Phillips, Natalie Rondon, and Averie Torres. The next Babysitter’s Training course offered by the hospital will be held in August 2018. There is a $50 fee per student. Space is limited so please register early to reserve a seat. Attendees should pack a lunch for the all-day class. To learn more or register, contact public relations at 830-278-6251 extension 1038. Pictured (L-R): Pauline Garcia, instructor; Peyton Phillips, Kayleigh Griffin, Victoria Phillips, Ashlynn Aviles, Natalie Rondon, Jackson Evans, Samuel Martinez, Averie Torres, Jonnathan Cazarez, Ligia Perry, Ahlaynah Barrients, and Amy Martinez, assistant instructor. Mark Twain once said, “Be careful about reading health books, you might die of a misprint.” While that might not be entirely accurate, it is safe to say that when a group of people become concerned about a subject, an underlying cause usually exists. Today in healthcare, one of those subjects is prescription pain medication, also referred to as opioids. Statistics vary but when we look at all deaths related to opioids, including heroin and fentanyl, we see that the number has more than quadrupled since 1999. The Centers for Disease Control (CDC) logged 42,000 opioid-related fatalities in 2016. That same year, 40% of all opioid overdose deaths — about 17,000 — involved prescription pain medications. That is approximately 47 people per day, every day of the year. The topic is of concern nation-wide and physicians and hospital staff, including locally at UMH, are challenged to provide safe and effective pain management in the midst of the heated conversation. Our hospital has proactively begun taking steps to treat patients safely and effectively despite the complex process associated with pain management and opioids. Is the patient here for chronic pain? Has the patient been admitted to the hospital for chronic pain in the last year? Does the patient have multiple prescriptions for pain medications? Is the patient asking for specific pain medications? Many factors are taken into consideration and a person identified at high risk for opioid abuse is then referred to their primary care physician (PCP) or a pain management specialist. For people with chronic pain or disease repeated trips to the Emergency Room are usually not beneficial. These patients will benefit the most from seeing their PCP or a specialist for long term treatment. Providers will often look to alternative methods to treat pain. Many effective pain medications exist that will not cross over into the brain and affect the central nervous system like opioids do. Opioids also often have side effects like constipation and upset stomach that can be avoided with alternative treatment. Alternative treatments may not always be popular with the patient but are certainly in their best interest. Hard data has taught healthcare providers to use the minimal amount needed of an opioid for the shortest time possible. This practice is twofold: it can help a person who is currently addicted, or it can prevent another person from having a future problem. No one would want to imagine life without pain medication, and why should we when medicine has come so far. However, treating pain does not necessarily mean a patient will have zero pain. Pain is a natural and important part of the human experience. In many cases pain teaches us not to repeat whatever action caused the pain in the first place. If there is anything I have learned as a pharmacist in over 25 years of dispensing medications, it is to have a healthy respect for what they can do to human beings. A discussion with your local pharmacist and/or your healthcare provider is always a good idea if you have any concerns regarding your pain or your treatment. Raul Zamora, president of the board of trustees at Uvalde Memorial Hospital in Uvalde, TX, has been elected to the Texas Healthcare Trustees board, a statewide non-profit organization for those serving on the governing boards of hospitals and health care systems in Texas. His two-year term was effective January 1, 2018. “We are excited to have Raul serve on the THT board. We have worked with him over the years through THT’s Certified Healthcare Trustee program and the Healthcare Governance Conference. We know he will provide a helpful perspective to the issues facing rural and critical access hospitals and bring tremendous expertise to our organization,” said Shirley Robinson, CAE, president/CEO of the Texas Healthcare Trustees. Zamora has been a board member of Uvalde Memorial Hospital, a critical access hospital, since 1980. He is also currently involved with the Uvalde Board of Realtors and has been involved in the Uvalde Kiwanis Club, United Fund of Maverick County and several other civic and service organizations. 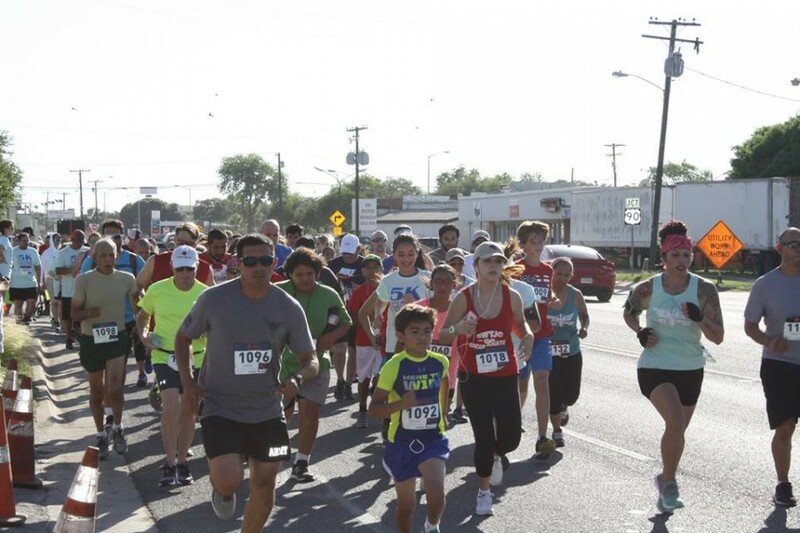 Uvalde, you made our 9th Annual Wellness Run another FUN one! We had over 130 runners/walkers for our 5k, 10k, and Kids Fun Run on Tuesday. Great job to everyone for getting out and getting healthy! Uvalde Memorial Hospital (UMH) hosted its annual Volunteer Appreciation Luncheon on April 19 at Uvalde Country Club. Over 100 volunteers from Uvalde Memorial Hospital’s Auxiliary, Uvalde Hospice, and Friends of Uvalde Hospice Thrift Store attended to celebrate the past year’s accomplishments. UMH auxiliary volunteer Shirley Grigg opened the program with a prayer and hospital CEO, Tom Nordwick, welcomed and thanked all in attendance. Charla Carter, UMH director of volunteer services, also welcomed everyone and thanked them for their service to the hospital and hospice programs. Carter commended the volunteers for unselfishly giving their time and encouraged everyone in the room to continue to recruit new volunteers. Carter highlighted the many hours that each of the organizations give by translating their time into dollar amounts and employee equivalency. 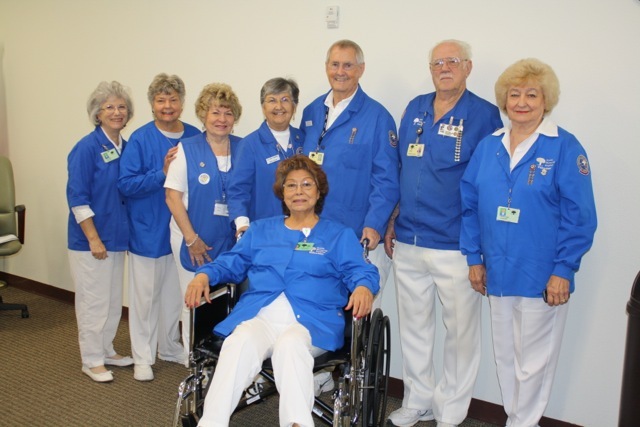 The hospice volunteers totaled 2,500 hours within the last year equating to one full time employee. The thrift store accumulated 6,500 hours with their 23 volunteers, which equated to $64,000; and the hospital auxiliary totaled 8,000 hours that translated to $205,000 or 4 full time employees. Linda Kennedy shared her testimony on her experience with hospice through her late husband and what being a volunteer with the organization means to her now. She began as a volunteer delivering flowers to hospice patients with her granddaughter. Her role has evolved to sitting with patients and their families now too. Shirley Grigg also shared her thoughts on being a volunteer. She represented the hospital auxiliary and shared inspiring stories about the interactions she has with hospital visitors and patient family members in the gift shop. Carter then recognized Shirley Grigg, Glenda Snow, and Linda Hubbard for being the top volunteer for their respective organizations. Grigg had 1,626 hours with the hospital auxiliary, Snow dedicated 970 hours to the hospice program, and Hubbard committed 684 hours to the thrift store. The individuals were presented with gifts as a thank you for their service. Venesa Davila, thrift store manager, also thanked all of the volunteers for their commitment. She applauded them for their willingness to provide service without expectation of recognition. Davila recognized top volunteers for the Hospice Thrift Store as: Linda Hubbard with 683.5 hours, Ana Rocha with 529.9 hours, and Maricela Hernandez with 452.25 hours. Each recipient was presented with a certificate and a bouquet of roses. To conclude the luncheon, Davila and thrift store board member Veronica Conoley presented a check for $10,000 to Uvalde Hospice Foundation. The check was received by Nordwick, hospice director Heidi Mathewson, and hospice medical director Sameta Sosa, M.D. The Uvalde Hospice Foundation was established five years ago and uses funds donated through memorials, raised at the Friends of Hospice Thrift Store, and given by people in the community, to cover the costs of miscellaneous items needed by patients under hospice care. The foundation helps to pay for utility bills, clothing, household items, and any other expense that would help make the patient more comfortable and give them peace of mind during their illness. Interested individuals are required to complete an application process, which consists of sharing past educational accomplishments as well as future educational and professional goals, demonstrating financial need, and expressing their personal commitment to serving their community after completion of their degree. Scholarship applicants must be residents of Uvalde, Edwards, Kinney, Real or Zavala Counties and enrolled in a college program to become a Registered Nurse (RN). The UMH Auxiliary has given scholarships to area students pursuing their education in the nursing field for nearly 25years. In that time, they have given more than $55,000 in scholarships for LVNs and RNs continuing education. The bi-annual scholarship program is made possible through special fundraising initiatives by the Hospital Auxiliary. Applications can be picked up in the Uvalde Memorial Hospital Human Resources Department, or found online at www.umhtx.org/careers/scholarships. Completed applicationsmust be submitted by June 29. For more information, please contact Charla Carter, Director of Human Resources and Volunteer Services, at 830-278-6251 extension 1435. A hospital is more than a place where people go to heal, it is a part of the community that fosters health and represents hope. From providing treatment and comfort to the sick, to welcoming new life into the world, hospitals are central to a healthy and optimistic community. That’s the message organizers are touting with the 2018 National Hospital Week theme “Caring is Our Calling.” The event theme is the centerpiece of a campaign aimed at uniting health care facilities across the country during the May 6–12 celebration. “National Hospital Week, first and foremost, is a celebration of people,” Tom Nordwick, administrator of Uvalde Memorial Hospital, said. “We’re extremely proud of each member of our staff and we recognize the important role they play in extending a sense of trust to our patients and our communities. Above all, our patients come first and National Hospital Week is a time to celebrate our patients, our presence in the community, and our ability and desire to serve,” Nordwick added. The hospital will also celebrate with internal events for employees such as an Exec Breakfast where the hospital’s executive staff will kick off the week serving a free breakfast to employees, a Taste of the Town luncheon where hospital directors will each make a dish for staff to try, an ice cream social and scrub relay races. Hospital employees also partake in a friendly “Fill Your Exec’s Office” competition during National Hospital Week. For this competition, a non-profit organization within the community is selected as the recipient of a hospital-wide donation. Then, different work groups within UMH compete against each other to see who can gather the most goods to donate by filling their executives’ offices. For more information, contact Karla Radicke at (830) 278-6251 extension 1037 or www.umhtx.org/eventsor www.facebook.com/uvaldememorial. When you or someone you love is dealing with a mental health concern, sometimes it’s a lot to handle. It’s important to remember that mental health is essential to everyone’s overall health and well-being, and mental illnesses are common and treatable. So much of what we do physically impacts us mentally. That is why this year’s theme for May is Mental Health Month: Fitness #4Mind4Body. The theme, established by Mental Health America (MHA), is a call to pay attention to both your physical health and your mental health, which can help achieve overall wellness and set you on a path to recovery. A healthy lifestyle may help prevent the onset or worsening of mental health conditions like depression and anxiety, as well as heart disease, diabetes, obesity and other chronic health problems. It can also help people recover from these conditions. Eating healthy foods, managing stress, exercising, and getting enough sleep can go a long way in making you healthy. It is important to really look at your overall health, both physically and mentally, to achieve wellness. We know that living a healthy lifestyle is not always easy, but gradually making small changes and building on those successes can achieve it. This May join us in our celebration of Mental Health Month. We will kick it off with our second Healthy Minds Matter conference on Tuesday, May 1 at SSGT. Willie de leon Civic Center from 5:00-7:00PM. Here we will bring together professionals, caregivers, parents, and friends who are affected by mental or behavioral health. The event is an opportunity to explore the truth, discuss the reality, and move towards a healthier future as a community. We can also work together to overcome mental health’s negative stigma. The keynote speaker, Dr. John Huber has over 20 years of experience bringing lasting and positive change to the lives of individuals with mental health issues and their family and friends. Breakout session speakers will also cover topics like depression and anxiety, domestic violence, addiction and opioid use, and mental health in youth. Uvalde Memorial Hospital has received and opened requests for proposals (RFP) from the top-five construction manager at risk (CMAR) firms who were selected in a special board meeting held March 3. Firms included Hoar Construction, Kitchell, McCarthy, Robins & Morton, and Skanska. After their selection in early March, RFPs were due by each firm on Tuesday, March 20 at 2:00 pm and were publicly opened at 4:00 pm that same day in the Wrather Holmgreen Conference Room at the hospital. Owner’s representative Chris Larson from Next, Inc. opened each RFP and UMH executive assistant, Gabriela Luevano, read each proposal aloud. Hospital CEO, Tom Nordwick, and numerous representatives from the submitting CMAR firms were present. As the next step in the process of identifying a CMAR for the building project, the hospital’s board of directors will interview each of the five firms the first week in April. 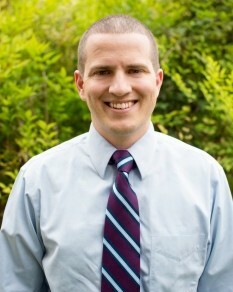 Teague graduated from the University of Rochester in New York where he majored in biology and pre-medicine. He went on to obtain his Master of Science in Physician Assistant Studies from Baylor College of Medicine in 2007. He is certified by the National Commission on Certification of Physician Assistants and the Texas Medical Board, and is a member of American Association of Physician Assistants and Texas Association of Physician Assistants. 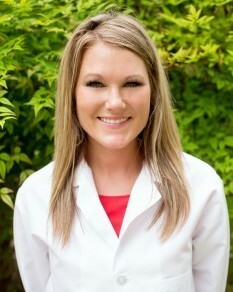 Teague comes to UMSA with almost 10 years of experience in general orthopedics with Kelsey-Seybold Clinic in Houston. He has specialized experience in treating hips, knees, shoulders, and upper extremities. Ryan made the move to Uvalde in early December and has become acquainted with UMSA and the clinic’s patients over the last three months. Teague’s family will join him after they complete the remainder of the school year in Houston. Joining him will be wife, Eliana, and two children, Alicia age 9 and Lucas age 6. “My wife and I are very excited about our transition to Uvalde. We are looking forward to the benefits of raising our children in a small community and all that this area has to offer,” Teague shared. Ryan enjoys gardening and cooking, and together the family shares a love of sports and fitness activities. “I am looking forward to all of the outdoor activities like hiking, camping, and hunting that we’ll have right in our own backyard, so-to-speak,” Teague added. An open house to meet Ryan Teague and the other members of the UMSA orthopaedic team, Dr. Jack Conoley and Dr. Andrea Barrett, will be held this summer. 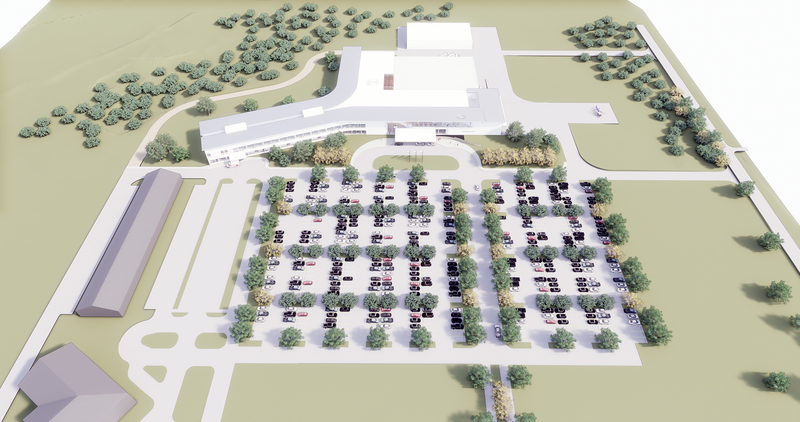 Uvalde Memorial Hospital continues the process of a hospital replacement project as the schematic design phase comes to a conclusion and design development is beginning to take place. Parallel to the design process, the hospital board and administrators, alongside owner’s representative Steve Larson from Next, Inc. and architectural firm Perkins+Will, have begun the processes of identifying a potential construction partner over the coming months. The Hospital anticipates the new, 2-story facility to be complete in late 2020 for a cost of $83.5-million. The new building will expand the hospital’s current footprint of 170,000 square feet to an 180,000 square foot configuration. The larger layout will meet regulatory standards and transform the hospital’s delivery of care to better accommodate patients, visitors, and staff with new efficiencies and improved amenities not currently available. As the project continues, the hospital board and executive team wish to keep the community well informed and very involved in the process. Why is it urgent that this building project begins now? With the conversion to CAH status there is a window of opportunity to replace the facility and receive additional reimbursement from CMS to assist with project funding. UMH obtained a very favorable interest rate from USDA, and interest rates will likely not become any more favorable in the near future. Projections for UMH’s continued success depend upon having modern facilities that meet CMS code for the provision of care. Patient rooms do not meet current regulations and infrastructure in the facility is starting to fail. Replacing the plant before substantial failures happen will save future resources. Remodel or replacement options were evaluated and revealed replacement was less costly and will cause less interruption of care for the community. What is the economic impact of UMH on Uvalde and how will that change with the new hospital? The hospital conducted an economic impact study in 2015. Results showed UCHA has a total revenues impact of $82.7 million, total direct labor income impact of $29.8 million, and generated retail sales of $9.2 million in Uvalde County. The new facility is projected to increase hospital revenue by 3-5% and help ensure the continued financial success of the organization. This success will translate to continued economic impact on the service region. Didn’t we just complete a campaign for the Kate Marmion Regional Cancer Medical Center? The campaign for the KMRCMC was completed in December 2009 and exceeded $5.4 million providing radiation therapy treatment to cancer patients in a nine-county region. The project also expanded medical specialty services including orthopeadics, general surgery, internal medicine, cardiology, and women’s health. If healthcare is focusing more on outpatient care, how does a new hospital benefit the community? Like hospitals around the nation, the bulk of services provided 10-15 years ago were inpatient, and hospitals were built accordingly. Today, most services are outpatient, meaning patients go home the same day of service. A new facility will focus on the industry-wide shift with an efficient, patient-centered layout housing outpatient services in a centralized manner with user-friendly, easy access for patients and visitors. This focus will also allow inpatients to experience additional privacy during overnight stays, as inpatient units will be housed away from outpatient services. Will any of the current departments or services be discontinued? The hospital board and administration do not anticipate any reduction in services. The more efficient layout will house some departments in larger areas, or smaller areas, based on each service’s needs. The number of patient rooms in the new hospital will remain consistent with current hospital operations of 25 inpatient beds and 20 outpatient beds. Care under inpatient and outpatient status will remain seamless from a patient perspective. Recently, community perceptions that hospice services might be discontinued were not accurate and stemmed from a state-funded study of UMH that reviewed the financial viability of each department. Following the study, in-house adjustments were made to ensure the viability of hospice. How will a new building improve healthcare in the community? A new layout designed to meet regulatory standards will transform the delivery of care to better accommodate patients, visitors, and staff with new efficiencies and improved amenities not currently available. The new facility will also provide opportunities to implement new technology and equipment such as fully integrated operating rooms, controlled access for patient and visitor safety, the latest environmental systems reducing risk of infection, advanced patient call and response systems, and cutting edge diagnostic tools. What will UMH do with the property behind the current hospital, particularly the areas in the flood zone? A new facility will lie southeast of the current facility and will allow services to continue uninterrupted until occupancy of the new facility. Behind the new site, the hospital will work with the City of Uvalde and Uvalde County to develop adjacent property to provide possible opportunities for public recreation in the future. Though not an immediate priority, walking trails, sports fields, and other activities are potential projects. USDA funding does not allow for construction to take place in flood-zones and the hospital plans to capitalize on these areas by highlighting the natural, undisturbed beauty of the landscape seen from the new patient rooms. Does UMH own other properties, such as nursing homes? Will this affect funding the campaign? The hospital owns Kate Marmion Regional Cancer Medical Center, located on the main campus. Across the street, the hospital owns stand-alone buildings that house Crossroads Behavioral Health, public relations and development, and the hospice program. In addition, as part of a federal government reimbursement program, the hospital manages 26 nursing homes. UMH has committed for interim capital financing, and receives a percentage of the government reimbursement for these homes. This partnership allows the nursing homes to make upgrades to their facilities to meet quality measures and allows the hospital to generate income from the management contract. The architectural firm Perkins+Will was selected by the hospital board in June 2017. Since that time the firm has confirmed space needs assessments, reviewed preliminary design options, completed site visits to neighboring facilities, and developed more detailed renderings. The hospital is using a construction management at risk (CMR) delivery model and completed construction drawings are anticipated to be ready by October 2018. Tentatively, construction will begin January 2019 and following this timeline, the finished facility would be completed within 18-24 months, opening between June 2020 and January 2021. For additional information on the building project or hospital tours, please contact the hospital’s administration office at 830-278-6251 ext. 1131 or communications specialist, Karla Radicke, at 830.278.6251 ext. 1037. Picture: Attached are preliminary renderings of the new facility. The hospital will host an open house for the public to view more finalized drawings during National Hospital Week in May. After completing the Babysitter’s Training Course on March 13, 2018 at Uvalde Memorial Hospital, 7 area youth ages 11-15 are newly certified by the American Red Cross for babysitting. Taught by Pauline Garcia, clinical and community educator at Uvalde Memorial Hospital, the fun and fast-paced class included hands-on activities, videos, role-plays, take-home training materials, and interactive discussion. Participants included Victoria Martinez, Delaney Fulcher, Alyssa Barajas, Kylie Bomer, Carly Rae Colvin, Kevin Williams Jr., and Ryleigh Fulcher. The next Babysitter’s Training course offered by the hospital will be held in June 2018. There is a $50 fee per student. Space is limited so please register early to reserve a seat. Attendees should pack a lunch for the all-day class. To learn more or register, contact public relations at 830-278-6251 extension 1038. Pictured (L-R): Victoria Martinez, Delaney Fulcher, Alyssa Barajas, Kylie Bomer, Carly Rae Colvin, Kevin Williams Jr., and Ryleigh Fulcher; instructor and UMH community educator Pauline Garcia, RN. The decision by the Employee Retirement System (ERS) of Texas to award a six-year contract to Blue Cross and Blue Shield of Texas (BCBSTX) has impacted healthcare providers and state employees throughout the area. ERS manages health insurance plans for state employees, retirees and their dependents. Effective September 1, 2017 ERS participants across the state previously covered under HealthSelect of Texas administered by United Healthcare, shifted to BCBSTX’s Blue Essentials network. Locally, this change effects health insurance coverage for more than 600 individuals employed with entities like Southwest Texas Junior College, Texas Department of Transportation, Texas Department of Health and Human Services, Texas A&M AgriLife Research and Extension Center, and more. The change has also largely impacted local healthcare providers including Uvalde Memorial Hospital and its affiliate Uvalde Medical and Surgical Associates. The coverage shift equates to new contract negotiations for the hospital and physician clinic. UMH and UMSA engaged in active negotiations with BCBSTX prior to September and continue to work to find an agreement to provide local coverage. “It is our priority to ensure everyone in our service area has access to exceptional healthcare at our facilities, regardless of their employer,” stated Valerie Lopez, chief financial officer. At least 170 of the locally effected individuals received healthcare services at UMSA in the last 12 months. While an agreement was reached for hospital inpatient services, hospital executives were forced to decline BCBSTX initial contract offering which decreased reimbursement by 13% from the previous contracted rate for hospital and clinic outpatient services. The current reimbursement rate BCBSTX is offering falls substantially below the Medicare rate. “To accept a commercial insurance rate below the Medicare fee schedule would not lead to a sustainable business model,” explained Lopez. But the team is not giving up and continues working diligently to negotiate an agreement with the Blue Essentials network, also still commonly referred to as HealthSelect. Until an agreement is reached, UMSA and UMH services can still be rendered but fall out-of-network for state employees’, translating to a higher deductible and out-of-pocket fee incurred by the individual. “We are working diligently to reach an agreement that allows state employees to received healthcare locally. We are not pleased that these members of our community have to pay increased amounts or travel outside of their hometown to receive in-network care,” stated Tom Nordwick, hospital chief executive officer. After completing the Babysitter’s Training Course on January 5, 2018 at Uvalde Memorial Hospital, 7 area youth age 11-15 are newly certified by the American Red Cross for babysitting. Taught by Pauline Garcia, clinical and community educator at Uvalde Memorial Hospital, the fun and fast-paced class included hands-on activities, videos, role-plays, take-home training materials, and interactive discussion. Participants included Danielle Garza, Asialei Arroyos, Nixon Havelka, Noah Downing, Fiona White, and Elizabeth Phillips. The next Babysitter’s Training course offered by the hospital will be held in March 2018. There is a $50 fee per student. Space is limited so please register early to reserve a seat. Attendees should pack a lunch for the all-day class. To learn more or register, contact public relations at 830-278-6251 extension 1038. Pictured (L-R): Instructor Pauline Garcia and students Danielle Garza, Asialei Arroyos, Nixon Havelka, Noah Downing, Fiona White, and Elizabeth Phillips. During the 63nd Annual Texas Vital Statistics Conference, held December 6-8 in Austin, TX, Uvalde Memorial Hospital received 2 prestigious state awards. Norma Castro, birth registrar, and Erica Trevino, clerk, in Uvalde Memorial Hospital’s health information management (HIM) department, accepted the Five Star Service Award from the Texas Department of State Health Services’ vital statistics unit and the Office of Attorney General Award for Acknowledgement of Paternity. 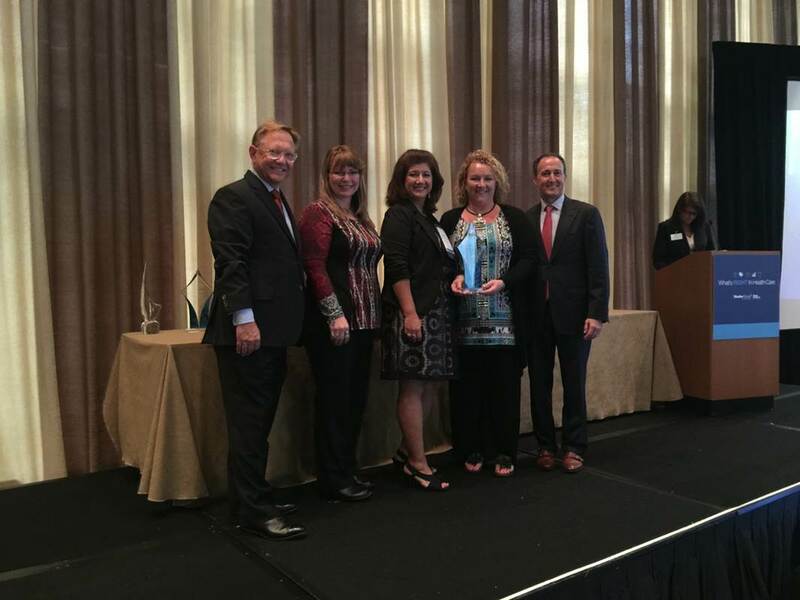 Uvalde Memorial was placed in the Exemplary Winners category meeting 100% of criterion. Only 13 other hospitals in the state fell into the exemplary category and an additional 48 were recognized for meeting 97% of criterion. This year’s honors marked the 16th consecutive year the hospital has received the award. Qualifications include legal and statistical measurements on all birth registrations completed, timeliness of birth registrations of babies born at the hospital, and training standards of birth registrars at the facility. Hospitals must also have been recipients of the Office of Attorney General Award for Acknowledgement of Paternity and Department of State Health Services ImmTrac Award for Excellence in 2017 to qualify. The Office of Attorney General Award for Acknowledgement of Paternity was also received at the convention. To achieve the paternity acknowledgement criteria, birth registrars must complete the 71% state average or higher of potential Acknowledgement of Paternity (AOP) from October 1, 2016 through September 30, 2017. PICTURE (L-R): Erica Trevino, clerk; Norma Castro, birth certificate clerk; and Grace Gonzales, HIM analyst, display the state awards their department won for 2017. Uvalde Memorial Hospital is pleased to announce it has been named a 2017 Guardian of Excellence Award® winner by Press Ganey. The Guardian of Excellence Award recognizes top-performing health care organizations that have consistently achieved the 95th percentile or above of performance in Employee Engagement. 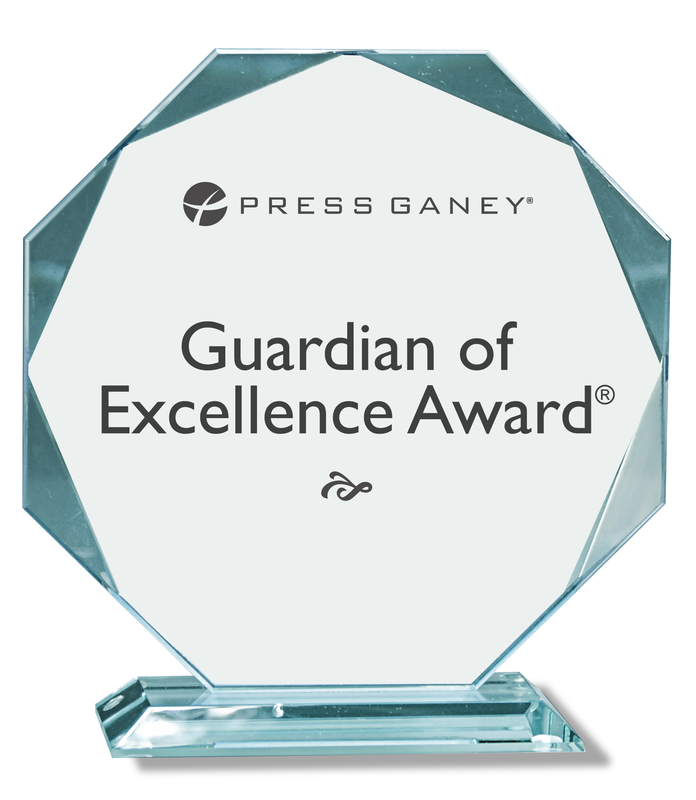 The Press Ganey Guardian of Excellence Award is a nationally recognized symbol of achievement in health care. Presented annually each November, the award honors clients who consistently sustained performance in the top 5% of all Press Ganey clients for each reporting period during the course of one year. “UMH has been measuring employee engagement with Press Ganey for over 10 years. As a participant in the survey process, the hospital receives plentiful feedback from employees,” stated Tom Nordwick, CEO and administrator. The feedback is used to identify concerns or issues, which can then be addressed as opportunities to improve the employees’ work experience. The hospital systematically, by department and as an organization as a whole, prioritizes the top opportunities and develops action plans to work with staff to accomplish positive change for each opportunity. The organization strives to fulfill the mission of providing compassionate, high quality health care to patients, and hospital administration feels that can only be accomplished through engaged, happy employees. “High employee engagement has a direct correlation to positive customer, in our case patient, outcomes. It is truly a privilege to work with a group of individuals who strive to provide the best care possible to our community,” Nordwick added. According to Nordwick, the award represents an important recognition from the industry’s leader in measuring, understanding and improving the patient experience. Many years in the making, Uvalde Memorial Hospital announces its intent to proceed with a hospital replacement project that will deliver an improved healthcare experience to the residents of Uvalde, Real, Kinney, Zavala, and Edwards Counties. The Hospital anticipates the new, 2-story facility to be complete in late 2020 for a cost of $83.5-million. The new building will expand the hospital’s current footprint of 170,000 square feet to a 180,000 square foot configuration. The larger layout will meet regulatory standards and transform the hospital’s delivery of care to better accommodate patients, visitors, and staff with new efficiencies and improved amenities not currently available. The project site will lie southeast of the current facility and will allow services to continue uninterrupted until occupancy of the new state of the art facility. “The new facility will focus on the growing shift from inpatient to outpatient services. It will create a user friendly environment that puts our patients and visitors at the center,” stated Tom Nordwick, Chief Executive Officer. The method of healthcare delivery has seen much change in the last 10-15 years with a significant shift towards outpatient services. While hospitals across the nation adjust their service approach to accommodate for the change, the new building will provide UMH with an unmatched opportunity to customize inpatient and outpatient service delivery. The new facility will also give the hospital an opportunity to implement new technology and equipment such as fully integrated operating rooms, controlled access for patient and visitor safety, modern patient call and response systems, and cutting edge diagnostic tools. A more efficient layout will allow additional space for many departments and larger patient rooms that meet current regulatory standards. The number of patient rooms will remain consistent with current hospital operations of 25 inpatient beds and 20 outpatient beds. Care under the inpatient and outpatient status will remain seamless from a patient perspective. The hospital intends to reuse the present chilling plant installed in 2015 as well as the emergency generators replaced in 2016. Seeds for a project of this magnitude began many years ago as previous administrator Jim Buckner and the hospital board realized a need to plan for the future of healthcare in Uvalde and the surrounding areas. At that time, a project was not financially realistic but the team’s foresight laid the groundwork that, years later, has made the project a reality. The UMH board of directors and leaders engaged the expertise of Steve Larson, president of Next, Inc., as owner’s representative in 2016. In the early months of 2017, the team completed an assessment of renovation versus replacement of existing facilities. The study explored the benefits and potential downfalls to each option, and concluded building replacement as the favorable choice. The study sited restricting infrastructure, inhibiting engineering factors, incompatibility for technology integration, and inability to renovate without major disruption to services and loss of business as factors. Many possibilities for the existing facility have been explored and currently, no viable alternative uses have been identified which would not negatively impact the future campus. “While we wish to be good stewards of the current building, we have yet to find a financially feasible use for the aging plant that dates back as early as 1949,” Nordwick stated. If a viable option is not identified, the building will be erased and transformed to better accommodate patients and visitors with additional parking and outdoor space, areas potentially available for community use as well. Collaboration with City of Uvalde officials to discuss the opportunity to develop vacant property south of the hospital has already begun. Preliminary discussions show potential for additional ball fields adjacent to current [[Kiwanis Park]], public walking trails, and community gardens. UMH board of directors selected the architectural firm Perkins+Will in June 2017 and in their first months P+W confirmed initial space needs assessments and reviewed preliminary design options. Public meetings were hosted in August to share “finding of no significant impact” (FONSI) results from the United States Department of Agriculture’s required environmental study. Shortly thereafter, in September, the USDA provided the hospital with a letter of conditions for financing which the hospital board accepted, securing financing in the amount of $58-million from the USDA and a $16.5-million loan guarantee from the USDA through a third party lender. The remaining $8.5-million will be the responsibility of the hospital. Throughout October and November the P+W team has worked closely with every level of staff at the hospital and completed site visits to neighboring facilities as the work to develop more detailed renderings. Completed construction drawings are anticipated to be ready by October 2018. The board voted in October 2017 to proceed with a construction management at risk (CMR) delivery model. Under this method, a commitment to complete the project within a specified price and timeline is set between the hospital and construction manager. Tentatively, the CMR would confirm project costs, after drawings are developed, from October to December of 2018 and January 2019 construction would begin. Following this timeline, the finished facility would be completed within 18-24 months, opening sometime between June 2020 and January 2021. The hospital is currently undergoing a feasibility study to determine the ability to raise funds in support of the project that will allow enhancements in technology and space. For additional information or to participate in the study, please contact Sheri Rutledge at 830.278.6251 ext. 1616 or Karla Radicke at 830.278.6251 ext. 1037. At their monthly meeting on Monday, August 7 the Uvalde Memorial Hospital Auxiliary announced their Fall 2017 Nursing Scholarship recipients. Sherley Wentz, scholarship committee chairperson, introduced fall scholarship winners Desiree Rodriguez of Sabinal, Juanita Del Toro of Uvalde, and Guadalupe Rodriguez of Uvalde. Each recipient was awarded $3,500 toward the completion of his or her registered nursing (RN) program at Southwest Texas Junior College in Uvalde. Each recipient is enrolled to begin his or her final year of the program in the fall and anticipate graduating in May 2018. “The auxiliary works very hard to raise funds to provide scholarships to aspiring nurses and we greatly appreciate their efforts,” said Charla Carter, director of human resources and volunteer services at Uvalde Memorial Hospital. Recipients were required to complete an application process which considered past educational accomplishments as well as future educational and professional goals, and demonstrated financial need and their personal commitment to serving their community. Following the presentation of scholarships, president Eddie McKinney opened the group’s monthly meeting with a prayer and a moment of silence for late member and first-vice president Edna Hernandez. Member Maria Ibarra, Hernandez’s niece, then expressed her gratitude to the group for their support and prayers. Member Graciela Ochoa introduced Susan Rios from the Uvalde Convention and Visitor’s Bureau as the guest speaker. Rios shared information on her job as Main Street Manager and SSgt. Willie De Leon Civic Center Manager. Rios outlined the responsibilities of the Visitor’s Bureau and differentiated their role from other similar groups and organizations that they often work closely with. She also highlighted main tourism attractions in our area, talked to the group about how they can be a part of related activities, and thanked them for their volunteerism. Sissy Parham then reviewed the July meeting minutes and Barbara Blair gave the treasurer’s report. Shirley Grigg followed with the gift shop report and Sherley Wentz shared there were no new beautification committee updates. Before the group adjourned Tom Nordwick, hospital CEO, shared updates on the potential building project that the hospital continues to explore. The Uvalde Memorial Hospital Auxiliary’s next meeting is scheduled on Monday, September 4 at 10am in the Wrather Holmgreen Conference Room. For more information or to become a member of the auxiliary, contact human resources officer and director of volunteer services Charla Carter at (830) 278- 6251. (Austin, TX) - The Texas rural hospital closure epidemic continues with two more rural hospitals locking their doors in the last few weeks. The hospital in Trinity, Texas ceased operations on August 1 and the hospital in Crockett, Texas shut down on July 1, leaving those communities without immediate access to emergency and other hospital care. TORCH, which represents the 163 rural hospitals across Texas, notes that of the eighteen (18) closures in the last four and a half years, four (4) were temporary lasting only a few months and three (3) were replaced with a freestanding emergency or urgent care center. But the care in those towns is now very limited. Eleven (11) communities still have no emergency or hospital care. “The real tragedy is many of these closures could have been avoided and are primarily the result of Medicare cuts by Congress in recent years totaling more than $50 million a year for Texas rural hospitals, coupled with underpayments in the Texas Medicaid program to rural hospitals approaching $60 million a year,” he also stated. Uvalde Memorial Hospital’s laboratory department has earned The Joint Commission’s Gold Seal of Approval® for Laboratory Services Accreditation by demonstrating continuous compliance with its performance standards. The Gold Seal of Approval® is a symbol of quality that reflects an organization’s commitment to providing safe and effective patient care. The UMH laboratory department underwent a rigorous, unannounced on-site survey in May 2017. During the review, a Joint Commission expert surveyor evaluated compliance with laboratory standards related to several areas, including document and process control, healthcare-associated conditions, risk reduction, and staff qualifications and competency. The surveyor also conducted on-site observations and interviews. The Joint Commission has accredited hospital laboratory services since 1979 and freestanding laboratories since 1995. More than 1,500 organizations, including laboratories in hospitals, reference labs, blood transfusion and donor centers, public health laboratories, and point-of-care test sites, currently maintain Laboratory Services Accreditation from The Joint Commission, awarded for a two-year cycle. The Joint Commission’s laboratory standards are developed in consultation with health care experts and providers, measurement experts, and patients. The standards are informed by scientific literature and expert consensus to help organizations measure, assess and improve performance. NOTICE by the Uvalde Memorial Hospital Authority of the Availability of the Final Environmental Assessment Report for public review. A copy of the Final Environmental Assessment Report may be viewed in Administration at the hospital. The Environmental Assessment Report states: Finding of No Significant Impact. Diabetes can be a devastating disease. The disease itself is chronic and painless. The consequences, however, are dire; though they develop over time and can be prevented with appropriate treatment and reasonable lifestyle. Diabetes affects almost all organ systems and leads to blindness, peripheral neuropathy (burning pain in the feet and lower legs as well as lack of sensation), nephropathy (kidney disease that in turn leads to kidney failure and dialysis), hypertension (elevated blood pressure causing increased risk of stroke and heart attacks), skin disorders (boils and abscesses), heart attacks and atherosclerosis (hardening of the arteries). Last, but not least, diabetes can cause diabetic foot ulcers (DFUs). They occur on the feet and result mainly from lack of sensation. DFUs are non-healing, chronic wounds on the feet, resulting from poor control of diabetes and poor compliance with medical advice. Every diabetic should be and is instructed by his primary care physician (PCP) on the necessity of checking both feet on a daily basis. Rationale for it is lack of sensation in the foot by diabetes sufferer and necessity to make up for the loss of feeling with visual inspection. Discovery of redness, swelling, puncture wound, or callus formation should prompt the patient to seek immediate advice from the PCP, podiatrist (foot doctor) or a wound care physician. It is not infrequent in our Wound Care Center to treat a diabetic patient who has been walking for a week with a rusty nail in his foot without knowing it. In situations like that, amputation below the knee may sometimes be the only available solution. This is an example of a drastic situation that could be avoided by diligently adhering to the simple advice of your doctor. Why do they (DFUs) happen? Diabetic foot ulcers are the result of repetitive trauma in conjunction with loss of sensation. In other words, small traumatic experiences (too tight shoes, pebble in the shoes) that would cause great discomfort in a person with normal sensation, go unnoticed in diabetic patients until there is a visible ulcer or infection. The first symptom of an ulcer waiting to happen may be callus formation or redness in any given area of the foot. These are warning signs and should be addressed immediately. Loss of sensation and motor nerve function leads to multiple deformities in diabetic feet (hammer toes, claw toes, Charcot foot, flat foot, etc.) that further predispose the patient to DFUs by creating bony eminences exposed to trauma from the shoe wear. Why diabetic foot ulcers need to be treated aggressively? It is really simple. Most untreated diabetic foot ulcers lead to infection and, in turn, to amputation. Merciless statistics show, that about 50% of amputees (we are talking about major amputation, e.g. below knee or above knee) will die within the next five years. Properly managed patients usually avoid amputations and heal. Exceptions are relatively rare. What to do when a DFU is noticed? A DFU should be evaluated by a PCP, podiatrist, or wound care center (there is no need for referral) as soon as possible. Ulcers that do not respond to one month of treatment by a PCP or podiatrist should be seen by a wound care specialist. How diabetic foot ulcers are treated? 1. Circulation. Problems with arterial circulation (frequent in diabetics) may be either a direct reason for ulceration or a complicating factor. Either way, if the patient shows symptoms of circulation problems (Peripheral Arterial Disease) they are usually referred to a vascular surgeon. Surgical intervention allows the ulcer to heal much faster and prevents further complications. 2. Infection. Infected ulcers, especially the ones with circulation problems, constitute a serious challenge and substantial threat of amputation. Infection must be vigorously treated and in wound care center settings it is usually achieved by daily infusions of intravenous antibiotics. Infection of the bone may not respond to treatment with antibiotics alone and may require intervention of an orthopedic surgeon. Usually, removal of the infected part of the bone and occasionally minor amputation (tip of the toe or the entire toe, sometimes parts of metatarsal bones) are needed. Also, antibacterial dressings containing silver, antibiotics and other antibacterials are used in topical treatment of ulcers. 4. Slough and callus. Slough and callus prevent ulcer healing and need to be removed frequently. It is called debridement (removing debris) and may be enzymatic (dissolving and digesting dead tissue by enzymes), autolytic (accomplished by the body after creating adequate conditions - a moist and bacteria-free environment), mechanical (by using wet-to-dry dressing that upon drying out sticks to the ulcer surface and lifts with it dead tissue fragments during dressing removal) and/or a sharp/surgical process(removal of debris with a scalpel, scissors or ultrasonic debrider). 5. Dormant status of the ulcer. Chronic, non-healing diabetic foot ulcers enter a dormant (sleeping) phase, when the cells are no longer multiplying and the production of growth factor decreases, slowing down or occasionally even arresting the process of healing. These cells must be woken up. This is usually achieved by sharp debridement or use of certain growth factors, cultured skin substitutes, and stem cells. 6.Lack of oxygen. Oxygen is needed for the cells to breathe and multiply. To address this issue Hyperbaric Oxygen Therapy (HBOT) is used. It is a very expensive treatment and the patient must meet specific and very stringent criteria to qualify. In the treatment, oxygen is delivered into a special acrylic chamber (large cylinder) under the pressure of 2.0-3.0 atmospheres. At 2 ATA (atmospheres) the pressure is comparable to diving 33 feet under the water surface. In the wound care lingo HBOT is therefore called “diving” despite no water is involved. It is a safe and very effective modality but is high in cost and patients must meet specific and stringent criteria to qualify. Summarizing, every diabetic foot ulcer should be treated as a serious threat. It is easier to prevent, than heal. Prompt visits to your health professional’s office (PCP, podiatrist, wound care center) are advised. There are multiple modalities available to prevent amputations. Effectiveness of the treatment is excellent but often long (3 months or more) and requires significant patient resolve and cooperation. In November, Uvalde Memorial Hospital welcomed Matthew Hughes as the new director of rehabilitation. Hughes now oversees physical therapy and speech therapy services, as well as the WorkSTEPS program offered by UMH. Hughes replaced Mary Lynn Vaughn who served as the rehabilitation department director for 38 years. Hughes graduated with a Bachelor’s of Science from Texas State University in San Marcos and went on to obtain a Master’s of Physical Therapy from Angelo State University in 2006. Over the past 10 years Hughes has worked in multiple venues to include outpatient clinics, inpatient rehab facilities, hospital acute care settings, skilled nursing facilities, and home health. Hughes believes his vast array of positions has prepared him well for his new position. “I wanted to work in multiple facets of physical therapy in order to gain a broad base of knowledge and experience when dealing with patients and my peers. In doing that, I think it gave me a better appreciation for the healing and recovery process and has allowed me to see multiple diagnoses and how a patient can go from being at their sickest and progress to being healthy and active. It also allowed me to work with different people and disciplines to improve a patient’s level of function and quality of life. I hope to be able to draw from all of those experiences and incorporate that into my current position,” Hughes shared. Matthew is married to his wife of 10 years, Katie, and is kept busy by their three children, Wyatt (9), Owen (8), and Hannah (5). Together they are active in sports, school, and 4-H activities. Growing up in a military family, Hughes moved frequently before landing in Texas where he has now lived for 25 years. Last July, Hughes and his family moved from New Braunfels to Uvalde, but were not new to the area. Katie’s mother was raised in Uvalde and they very often traveled here to visit Katie’s grandparents, long-time Uvalde residents Mary Dirksen and the late Herbert Dirksen. “Over the past 10 years I was here for every major holiday, and I always liked coming to this part of Texas to visit family. My wife and I had been thinking of moving this way for the last 3 years for a change of pace,” Hughes said. “I did not move to Uvalde with the expectation to take the director position. I came with the idea of starting my own independent clinic; but when I visited with Mary Lynn Vaughn over the phone and then in person, as well as the staff, and administration of the hospital, it became evident that working with UMH would be a perfect fit. The goals I had as an independent clinic owner were in-line with the goals of UMH. I hope to be able to take the foundation that Mary Lynn set over the past 38 years and build upon it,” Hughes added. After receiving constructive feedback from current and past patients, Hughes has begun making small changes to the UMH rehabilitation department. Office hours have been expanded to better-fit patients’ schedules. Early morning appointments, before 8AM, and late afternoon appointments, until 5PM or after, have been incorporated into the team’s schedule. “We have rolled out the hours on select days, and at the patients request to see how the community responds,” Hughes said. Hughes is already enjoying his new venture at UMH and continues to have a passion for his career. “It is a rewarding career. I like helping people, and this job allows me to be hands on. I also like educating the patient on their diagnosis so they have a better understanding of what they are up against, how a physical therapist can help them through it, and then educating the patient on their progress so they see the results in real time,” Hughes said. The UMH rehabilitation department provides evaluation and treatment of deficits for all age groups, involving ambulation and other forms of mobility, upper and lower extremity dysfunction, strengthening and endurance, and the use of assistive devices. The department offers speech-language pathology services to include swallowing disorders. Pre-employment testing and worker’s compensation evaluation services are also available. For more information on services or to make a referral, please contact the rehabilitation department at (830)- 278- 6251 extension 1621. Centers for Disease Control and Prevention (CDC) recommends a yearly flu vaccine as the first and most important step in protecting against flu viruses. Flu vaccination can reduce flu illnesses, doctors’ visits, and missed work and school due to flu, as well as prevent flu-related hospitalizations and deaths. PRIMARY CARE PHYSICIANS Call your physician's office. This revolutionary machine is designed to quickly perform high-quality MRI scans with a high level of patient comfort. “Our new MRI machine is a technological breakthrough. It has a magnetic field strength three times stronger than the old machine and twice as strong as MRI machines in the surrounding areas, including San Antonio,” stated UMH radiologist Jared Reading, M.D. Ingenia 3.0T can significantly reduce exam time and has a wide opening to accommodate patients of varying size, age, and physical condition. This makes Ingenia less confining than other systems and a more attractive, noninvasive imaging option for patients. In many cases, scans can be performed with the patient’s head entirely out of the opening, creating a better patient experience. “This machine allows us to perform American College of Radiology recommended routine exams of the brain, spine, knee, ankle, and liver in less than 8 minutes. Our patients will experience fast, comfortable exams and fewer re-scans,” said Ralph Gonzalez, director of Radiology at UMH. The Ingenia 3.0T incorporates a number of breakthrough technologies designed to deliver exceptional image clarity. 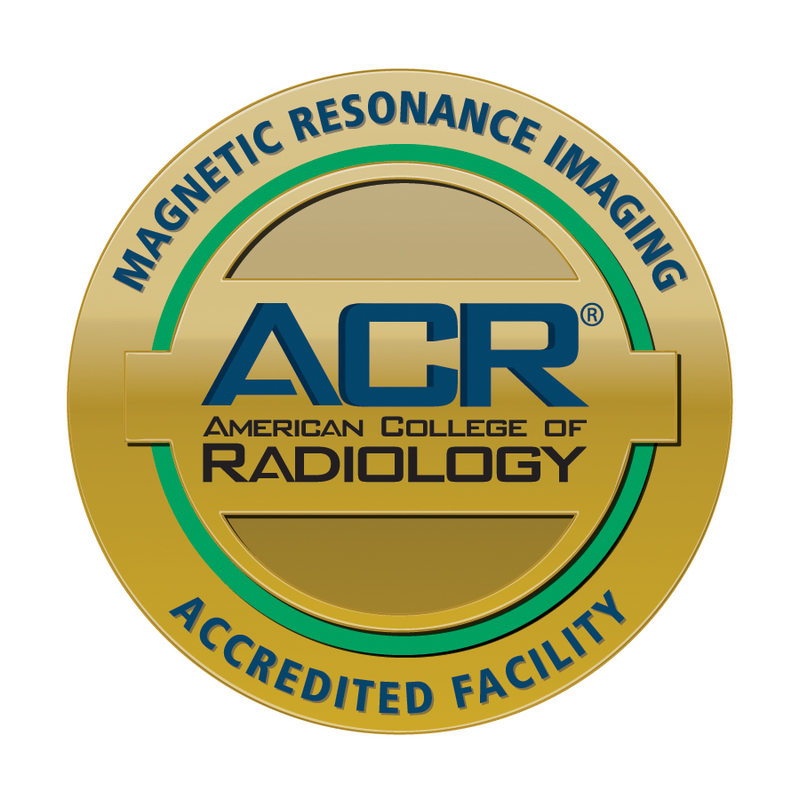 It quickly provides radiologists and physicians with precise, detailed MR images needed to help confidently diagnose many different anatomical and structural problems in the body—including brain and nervous system disorders, cardiovascular disease, and organ disease. “The transfer of information from the machine to the viewer is done digitally, which is a first for MRI. It shows exquisite detail of bone and soft tissue. This in turn leads to more accurate diagnoses, better information for our local physicians to work with, and ultimately better patient care,” said Dr. Reading. Both Reading and Gonzalez highlighted the uniqueness of having such technology available locally and credited the dedication of the hospital board, physicians, administration, and staff. “I often discuss the technological aspects of the medical equipment in this “small town" with my colleagues at University hospitals around the country, and I believe awe would be the best way to describe their response,” said Dr. Reading. “The philosophy at UMH regarding imaging has always been to buy with an eye towards the future and this new machine will be better than the standard of care for the next decade,” added Reading. The installation of the new MRI unit has been in progress since June of 2015 and was completed late in December. 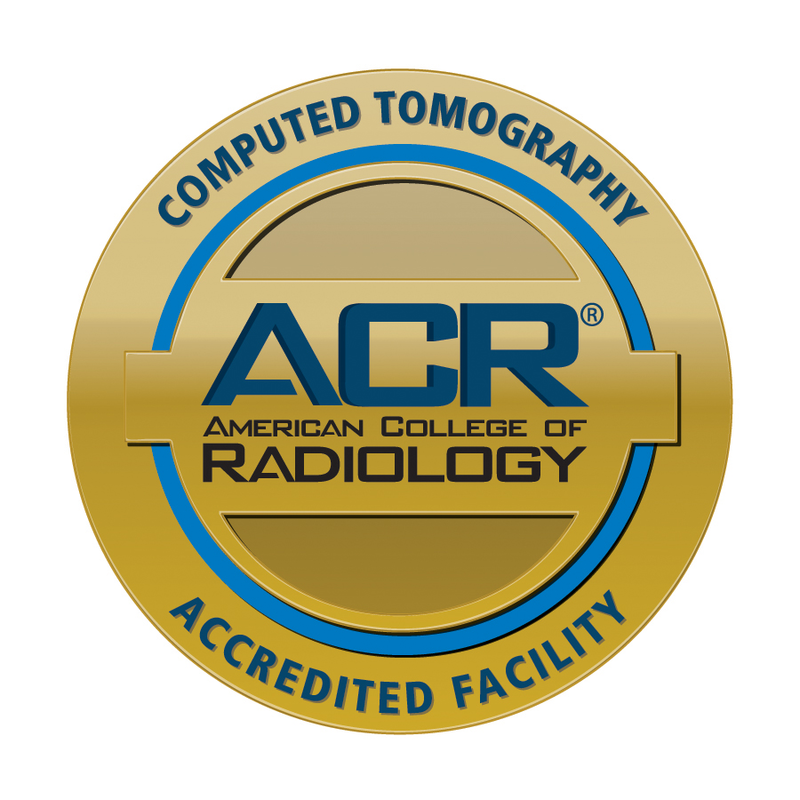 Following extensive testing and staff training, imaging on patients began the first week of January 2016. UVALDE, TX – During the 61st Annual Texas Vital Statistics Conference, held December 9-11 in Austin, TX, Uvalde Memorial Hospital received 2 prestigious state awards. Norma Castro, birth registrar in Uvalde Memorial Hospital’s medical records or health information management (HIM) department, accepted the Five Star Service Award from the Texas Department of State Health Services’ vital statistics unit and the Office of Attorney General Award for Acknowledgement of Paternity. The Five Star Service award is given to only those hospitals in the state who have met a list of criteria for qualification set by the vital statistics unit. Qualifications include legal and statistical measurements on all birth registrations completed, timeliness of birth registrations of babies born at the hospital, and training standards of birth registrars at the facility. Hospitals must also have been recipients of the Office of Attorney General Award for Acknowledgement of Paternity and Department of State Health Services ImmTrac Award for Excellence in 2015 to qualify. Uvalde Memorial was placed in the Winners category meeting 99% of each criterion. Only 47 other hospitals in the state fell into the winners category that requires a minimum of meeting 97% criterion and 26 into the exemplary winners’ bracket. The exemplary winner’s bracket is made up of those hospitals that meet 100% of criteria. This year’s honors marked the 14th consecutive year the hospital has received the award. The Office of Attorney General Award for Acknowledgement of Paternity was also received at the convention. To achieve the paternity acknowledgement criteria, birth registrars must complete the 71% state average or higher of potential Acknowledgement of Paternity (AOP) from October 1, 2014 through September 30, 2015. PICTURE (L-R): Norma Castro, birth certificate clerk; Grace Gonzales, HIM analyst; Bennie Sanchez, clerk; and Yolanda Valerio, Director of HIM display the state awards their department won for 2015. The feedback is used to identify concerns or issues which can then be addressed as opportunities to improve the employees’ work experience. The hospital systematically, by department and as an organization as a whole, prioritizes the top two opportunities and develops action plans to work with staff to accomplish positive change for each opportunity. The organization strives to fulfill the mission of providing compassionate, high quality health care to patients. Hospital administration feels that can only be accomplished through engaged, happy employees. “High employee engagement has a direct correlation to positive customer, in our case patient, outcomes. As the CEO of UMH it is truly a privilege to work with a group of individuals who strive to provide the best care possible to our community,” Nordwick added. According to Nordwick, the award represents an important recognition from the industry’s leader in measuring, understanding, and improving the patient experience. Uvalde, TX, December 2015 – Uvalde Memorial Hospital (UMH) today announced it has been recognized by iVantage Health Analytics and the National Organization of State Office of Rural Health (NOSORH) for overall excellence in Financial Strength, reflecting top quartile performance among all acute care hospitals ! in the nation. “UMH’s leadership team and staff understand the importance of responsible financial stewardship and the necessity to provide quality patient care. It is only through diligence in managing our resources that we will be able to survive the changes coming forth in the delivery of health care,” stated Tom Nordwick, UMH Chief Executive Officer and Administrator. The rankings have been designated by the Hospital Strength INDEX™, the industry’s most comprehensive and objective assessment of hospital performance. In partnership with NOSORH, iVantage Health Analytics has developed a data-driven program designed to identify excellence across a broad spectrum of indicators relevant to hospital performance and patient care. The Hospital Strength INDEX™ captures performance metrics for more than 4,000 acute care hospitals, including over 1,300 rural and Critical Access Hospitals. Leveraging data from public data sources, INDEX aggregates data from 66 individual metrics into three major categories and 9 pillars to derive a single strength overall rating for each facility. “These top quartile performers should take great pride in this recognition. It showcases their commitment to continuous performance analysis and improvement. On this occasion of National Rural Health Day, it’s an honor to celebrate their achievement as they continue to serve their communities despite the many market, regulatory and financial pressures they face.” said Michael Topchik, senior vice president of iVantage Health Analytics. iVantage is a leading business analytic and advisory services company a unique combination of technology, content, and expert advisory services accelerates decision making for the new healthcare. For more information please visit www.ivantagehealth.com. 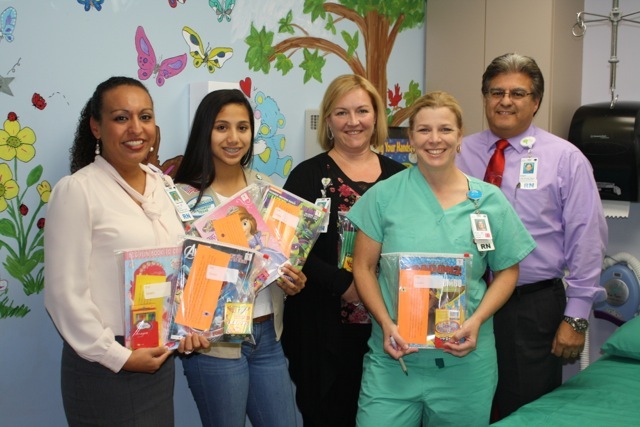 Nadia Gonzales, member of Girl Scout Troop 4199, presented Uvalde Memorial Hospital nursing directors with over 300 "Bags of Smiles" this week to give to children who are hospitalized. Nadia created the goodie bags as a part of her Girl Scout’s Silver Award project. Nadia posted her idea for the project on Facebook and in response received an outpouring of donations for the bags. Family and friends from across Texas and into Louisiana sent monetary donations and supplies totaling nearly $600. Nadia then dedicated more than 50 hours of her time to put the bags together including a personal note, a coloring book, and crayons in each. The bags will be dispersed to pediatric patients seen in the emergency room, operating room, and medical/surgical unit. At their monthly meeting held on Monday, November 2, the Uvalde Memorial Hospital Auxiliary completed their annual orientation and safety training conducted by Charla Carter, volunteer coordinator. Carter reviewed general safety practices, infection control processes, the various emergency codes used within the hospital, and protocols for fire safety. The group was also reviewed practices related to the Health Insurance Portability and Accountability Act (HIPAA). Following the training, Carter thanked the group for their donation of wheel chairs to the hospital. In August, the Auxiliary gifted UMH with 5 new wheel chairs valued at $2,700. ! In other business, Adam Apoinar, new Chief Nursing Officer at the hospital introduced himself to the group. Apolinar share his extensive background in health care and briefed the Auxiliary on current projects within the nursing departments. ! Barbara Hogan read minutes from October’s meeting; Rosie Diaz shared the treasurer’s report; Shirley Grigg gave the gift shop report; and Ann Reagan shared the correspondence report. Sherley Wentz reported an update on hospital beautification and the scholarship committee. ! Sissy Parham shared the membership report and introduced new members Lee Lugo and Graciela Ochoa. ! President Eddie McKinney announced the group’s annual Christmas Tea would be Thursday, December 10 at 9am in front of the Gift Shop. He also reminded the group that the Gulf Coast Jewelry Show would be Monday, November 16 in the Wrather Holmgreen Conference Room. Karla Radicke updated the group on upcoming hospital events including Hospice Open House, Understanding Your Medicare Options courses on November 10 and 19, Veterans Day flag ceremony on November 11, Asthma education courses on November 14 and 18, Childbirth Class on November 14, and a Babysitter’s Training Course on November 24. The Auxiliary will meet again on Monday, December 7, at 10a.m. in the Wrather Holmgreen Conference Room at Uvalde Memorial Hospital. If you are interested in becoming a member of the UMH Auxiliary, please contact Charla Carter, director of volunteer services, at 830-278-6251 ext. 1435. 130 attendees representing the agencies and employees being recognized attended the affair at the beautiful Pavilion Banquet Hall. “The purpose of this annual event is for the staff of AirLIFE to recognize individuals and agencies within our service area that demonstrate excellence in the provision of emergency healthcare, patient advocacy, and leadership in healthcare system development”stated AirLIFE president and CEO Shawn Salter. All of those recognized were chosen by AirLIFE Flight Nurses, Flight Paramedics, and Flight Communicators based on interactions they had experienced with hospitals, EMS agencies and individuals in Emergency Medicine during the previous year. “I believe that it is important to be recognized by your peers, and these are the people that our flight crews interact with daily,”added Mr. Salter. “Members of the healthcare team never appreciate the gravity of their work, but they make a difference in someone’s life every day”. “We are pleased to welcome Mr. Apolinar. He was selected by our team for his background and experience in healthcare,” stated chief executive officer and hospital administrator Tom Nordwick, FACHE. Apolinar has nearly thirty years of experience in the healthcare field. His background most recently includes serving as the chief clinical officer for Victory Medical Center, a privately owned surgical hospital, at both their Landmark and Southcross locations in San Antonio. Other experience includes 12 years as a district sales manager for a major pharmaceutical sales company and director and manager level experience with Baptist Health System in San Antonio. “I feel Mr. Apolinar’s breadth of experience in healthcare will make him a good addition to lead our clinical team ,” stated Nordwick. His education includes a Master’s in Health Administration from Webster University in St. Louis, Missouri and a Bachelor of Science in Nursing from the University of The Incarnate Word in San Antonio. “I’m thankful for the opportunity to work at this facility and hope to bring some new ideas and new thought processes with me to better serve our patients and the community,” Apolinar stated. “My wife and I are very eager to become part of the community and explore the grandeur that Uvalde and the surrounding areas have to offer,” Apolinar added. Apolinar will replace Jeanne Leake who served as chief nursing officer from 2012 to June 2015. Uvalde Memorial Hospital Auxiliary recently announced that Victoria Placenia and Laura Reyes are the recipients of the 2015 nursing scholarships. Placenia and Reyes each received $3,500 to complete their education in the nursing field. Placenia is enrolled in the registered nursing program at Southwest Texas Junior College in Uvalde and is expected to graduate in May 2016. Reyes is enrolled in the registered nursing program at Galen College of Nursing in San Antonio and is expected to graduate in May of 2016. “The auxiliary works very hard to raise funds to provide scholarships to aspiring nurses, and we greatly appreciate their efforts. Sherley Wentz does a wonderful job of chairing the auxiliary’s scholarship committee,” said Charla Carter, human resources officer and volunteer services at Uvalde Memorial Hospital. Recipients were required to complete an application that detailed educational accomplishments as well as future educational and professional goals; demonstrated financial need; and outlined a personal commitment to serving the community. Applicants must be enrolled in college programs to become an RN or LVN and must also be a resident of Uvalde Memorial Hospital’s service region, which includes Uvalde, Edwards, Kinney, Real and Zavala counties. The annual scholarship program is made possible through special fundraising initiatives by the auxiliary. For more information, contact Charla Carter at 830-278-6251, ext. 1435, or visit www.umhtx.org. Uvalde Memorial Hospital has been chosen to receive an Excellence in Patient Care award given by outcomes firm Studer Group®. The organization will receive the award at Studer Group’s 13th annual What’s Right in Health Care® conference in August for their exemplary “Discharge Information” results on the Hospital Consumer Assessment of Healthcare Providers and Systems (HCAHPS) patient survey. The Excellence in Patient Care award is given to select organizations that are coached by Studer Group based on various categories. To be eligible for an award, an organization must demonstrate outstanding performance in patient care. Uvalde Memorial Hospital is being recognized for achieving the Centers for Medicare & Medicaid Services (CMS) 90th percentile or higher for their “Discharge Information” HCAHPS composite score for patients discharged between quarter 1 through quarter 4 of 2014. During your hospital stay did doctors, nurses or other hospital staff talk with you about whether you would have the help you needed when you left the hospital? During your hospital stay did you get information in writing about what symptoms or health problems to look out for after you left the hospital? UMH has worked diligently over the past 18-24 months on unique efforts to address talking to patients about help after discharge and providing written discharge instructions. The hospital has implemented a “green folder system,” a process through which all staff encourage and assist patients in keeping information received during their stay, and upon discharge, in a single location. The green folder is reviewed throughout a patient’s stay and again upon discharge. A recipient of the 2010 Malcolm Baldrige National Quality Award, Studer Group is an outcomes-based healthcare performance improvement firm that works with healthcare organizations in the United States, Canada, and beyond, teaching them how to achieve, sustain, and accelerate exceptional clinical, operational, and financial results. Working together, we help to get the foundation right so organizations can build a sustainable culture that promotes accountability, fosters innovation, and consistently delivers a great patient experience and the best quality outcomes over time. To learn more about Studer Group, a Huron Healthcare solution, visit studergroup.com. “To be able to offer big city medicine in a small town hospital means so much to me,” said Andrzej Stypko, M.D. Dr. Stypko’s comment came just after an antibiotic called Orbactiv was given on Uvalde Memorial Hospital Wound Care Center patient Gloria Iruegas. What makes this antibiotic and wound care treatment stand out compared to the countless other wounds Dr. Stypko and his team are a part of healing on a daily basis? This treatment is new. So new, in fact, that Gloria is only the 110th patient in the nation to receive it and the very first patient in all of south-central Texas. Orbactiv is an antibiotic infused into a patient intravenously (through an IV) to treat acute bacterial skin and skin structure infections (ABSSSI) caused by certain susceptible bacteria. The drug provides a safer and more efficient alternative to previous treatment options. In the past a patient with the same diagnosis required two and a half hour infusion, daily for anywhere from 2 to 6 weeks depending on the treatment plan. Along with the daily infusions, it was necessary to perform blood draws every 3 days, for the duration of treatment, to monitor the patient’s blood for potential toxic effects. Orbactiv, on the other hand, is a one time, three hour infusion that blocks infection for a 21 day span. It comes with no concerns about harmful toxins to the patient. “This really is just another example that destroys any stereotype that a person has limited access to first-class healthcare in a rural area,” said Stypko, M.D. “In fact, it ends up that a patient is potentially better off because not only do they have access, but they also the opportunity to have a personal experience. We’re not a mill. We have the same urban modalities, actually better in this case, and each patient truly means something,” added the doctor. Iruegas is pleased to be a part of the late-breaking treatment. “I’m just so thankful. From my entrance into the hospital to my experience at the Wound Care Center, everyone has been so friendly and professional. They make it easier to be a patient,” Iruegas said of her experience. Orbactiv was approved by the Food and Drug Administration (FDA) and is designated as a Qualified Infectious Disease Product (QIDP) because it is an antibacterial or antifungal human drug intended to treat a serious or life-threatening infection. As part of its QIDP designation, Orbactiv was given priority review with the FDA, which provides an expedited review of the drug’s application. Orbactiv’s safety and efficacy were evaluated in two clinical trials with a total of 1,987 adults. “The approval of several new antibacterial drugs [in 2014] demonstrates that we are making progress in increasing the availability of treatment options for patients and physicians,” said Edward Cox, M.D., M.P.H, director of the Office of Antimicrobial Products in the FDA’s Center for Drug Evaluation and Research, in a press release by the FDA in August immediately following Orbactiv’s approval. At their monthly meeting held on Monday, February 2, the Uvalde Memorial Hospital Auxiliary heard a brief presentation, introduced by Pat McFarland, from Uvalde Memorial Hospital cardiopulmonary director David Green. Green briefed the group on the general happenings of his department and provided information on the new, top of the line Life Support Systems that the department is in the process of acquiring. Green also reminded the group that the cardiopulmonary department is now staffed 24/7 and their operations are 98% electronic. David Green talked about his 15 years of experience in the Airforce, including air life rescue operations and general cardiology, and how that experience has helped him implement efficient processes in hospital settings. In other business, Jeanne Leake, chief nursing officer, discussed high patient satisfaction scores in the emergency room and outpatient surgery that were seen in the last quarter. Tom Nordwick, hospital administrator, informed the group about recruitment efforts that have been launched for internal medicine. Eddie McKinney read the thought of the day; Cleo Lemon shared the treasurer’s report; Barbara Hogan read January’s meeting minutes; and Ann Regan gave the correspondence report. Shirley Grigg reported an update on gift shop happenings and Glenda Swink gave the scheduling report. Sissy Parham shared the membership report and those present unanimously voted for 5 past members to be moved to honorary and life membership status in accordance with their bylaws. New life-members are Evelyn Hutchinson who joined the Auxiliary in 1986 and worked 10,533 hours; Emma Jean Everrett who joined in 2001 and worked 3,712 hours; and Alda and Frank Carrasco. Mary Dirksen was recognized as a honorary-member with 1,681 hours since 2006. Parham also announced new members were Ann Flemming, Barbara Blair, and Pat Pena. President Charles Lemon announced the group’s annual luncheon would be May 4 at 11:30am in the Wrather Holmgreen Conference Room. The Auxiliary will meet again on Monday, March 2, at 10a.m. in the Wrather Holmgreen Conference Room at Uvalde Memorial Hospital. UVALDE, TX – During the 60th Annual Texas Vital Statistics Conference, held December 11-13 in Austin, TX, Uvalde Memorial Hospital received 2 prestigious state awards. Norma Castro, birth registrar in Uvalde Memorial Hospital’s medical records or health information management (HIM) department, accepted the Five Star Service Award from the Texas Department of State Health Services’ vital statistics unit and the Office of Attorney General Award for Acknowledgement of Paternity. The Five Star Service award is given to only those hospitals in the state who have met a list of criteria for qualification set by the vital statistics unit. Qualifications include legal and statistical measurements on all birth registrations completed, timeliness of birth registrations of babies born at the hospital, and training standards of birth registrars at the facility. Hospitals must also have been recipients of the Office of Attorney General Award for Acknowledgement of Paternity and Department of State Health Services ImmTrac Award for Excellence in 2014 to qualify. Uvalde Memorial was placed in the Winners category meeting 99% of each criterion. Only 34 other hospitals in the state fell into the winners category that requires a minimum of meeting 97% criterion and 19 into the exemplary winners’ bracket. The exemplary winner’s bracket is made up of those hospitals that meet 100% of criteria. This year’s honors marked the 13th consecutive year the hospital has received the award. The Office of Attorney General Award for Acknowledgement of Paternity was also received at the convention. To achieve the paternity acknowledgement criteria, birth registrars must complete the 71% state average or higher of potential Acknowledgement of Paternity (AOP) from October 1, 2013 through September 30, 2014. ! PICTURE: L-R – Yolanda Valerio, Director of HIM; Grace Gonzales, HIM analyst; Norma Castro, birth certificate clerk; and Bennie Sanchez, clerk, display the state awards their department won for 2014. UVALDE, TX – The Community Health Worker (CHW) program at Uvalde Memorial Hospital has been in full swing since early September and their impact is already evident. Under the direction of program director Rose Garza, PhD, RN the four certified CHWs completed an eight week curriculum of 160 formalized training hours, successfully graduated from the program at the end of August, and are now acting as foot soldiers of healthcare. Each CHW promotes the health of their clients by establishing a trusting relationship that enables them to serve as a liaison between the client and the client’s healthcare services. The four individuals, Anita Bass, Rosie Verdusco, Samuel Lara, and Lydia Canales, act as lay members of the community and work in association with the local health care systems to serve community members with whom they share ethnicity, language, socioeconomic status, and life experiences. The Community Health Worker is not a healthcare provider in any way but instead acts as client’s navigator, a mentor and coach, coordinator, and an advocate of a patient’s healthcare. Each of the four individuals have embarked on a journey to help patients become educated on their condition, understand their symptoms and treatment options, grasp prevention measures, and embrace the importance of health maintenance. The CHW will follow-up with a client post hospital visit to discuss challenges, barriers, or other issues that may be financial, medical, or even regulatory related, as the client takes care of themselves at home. It is also a CHWs responsibility to work to ensure the patient attends follow up appointments and follows physician instructions. A CHW is even likely present at follow up visits to assist the patient with asking the doctor questions, ensuring the patient gives the doctor accurate information on the status of their condition, and reviews key points made by the doctor with the client post visit. Since September the CHWs have provided daily support in the emergency room (ER) at Uvalde Memorial Hospital. The CHWs role in the ER is to provide informal counseling and health education to patients; most especially on chronic diseases such as diabetes. Each CHW works very closely with the hospital’s emergency room clinicians, financial counselors, and social services department to ensure the client understands the care they are receiving and has access to needed resources. The CHW also works very closely with ER staff to identify patients at risk for readmission. Once a patient is identified as a readmission risk (typically an individual with a chronic disease) the CHW works with the client to educate them on treatment and maintenance of their disease to decrease the likelihood the client would need to return to the hospital. In addition to their role in the ER, the hospital’s CHW team has also played a large role in the transition of care of patients. Whether a patient is leaving the hospital to go home or to another care setting such as a nursing facility, assisted living facility, home health care, or other, their successful transition is important. CHWs assist the professional transition of care team which includes registered nurses, social services, utilization review, case managers, and others by providing support, advocacy, motivational intervention, resource coordination, and enhanced patient self-management to ensure the patient’s discharge from the hospital is successful. Uvalde Memorial Hospital has received the 2014 100 SafeCare Hospitals® for achieving the best overall performance among 3,500 acute care, nonfederal hospitals. This distinction uniquely identifies the country’s best healthcare institutions based on robust, evidence-based criteria of the Affordable Care Act. The SafeCare Group analyzed hospitals for the overall lowest risk-standardized 30- Day Mortality rates, lowest 30-Day Readmissions, lowest Complications Rates in Medical and Surgical Care, lowest in-hospital Medical and Surgical Infections, highest Medical and Surgical Processes of Care measures and highest Patient Satisfaction scores. Only the 100 hospitals under 100 beds with the highest scores made the 100 SafeCare Hospitals® Under 100 Beds list. If all U.S. hospitals attained the 100 SafeCare Hospitals® level, more than 400,000 hospital deaths and close to 5.1 million preventable complications would have been prevented. “We believe that a listing of outstanding hospitals in the areas of Hospital Value Based Program (HVBP), Hospital Readmissions Reduction Program (HRRP), and Hospital-Acquired Conditions Reduction Program (HACRP) would promote strong incentives to improve care, treatments, and services,” says Dr. Yisrael Safeek, MD, MBA, Founder and Chairman of The SafeCare Group®. To produce a meaningful ranking of US hospitals, The SafeCare Group® looked to the Affordable Care Act for guidance of an evidence-based framework for the 100 SafeCare Hospitals® rankings. The medical and legal experts who designed, developed, and implemented the Affordable Care Act believed that a listing of outperforming hospitals in the areas of Hospital Value Based Program (HVBP), Hospital Readmissions Reduction Program (HRRP), and Hospital-Acquired Conditions Reduction Program (HACRP) would promote strong incentives to improve care. The SafeCare Group adopted this framework for the 100 SafeCare Hospitals® methodology and created three criteria domains – “Processes of Care”, “Outcomes of Care”, and “Efficacy of Care”. As a result, the 100 SafeCare Hospitals® utilized a methodology that is firmly rooted and grounded on nationally recognized, evidence-based metrics and data. 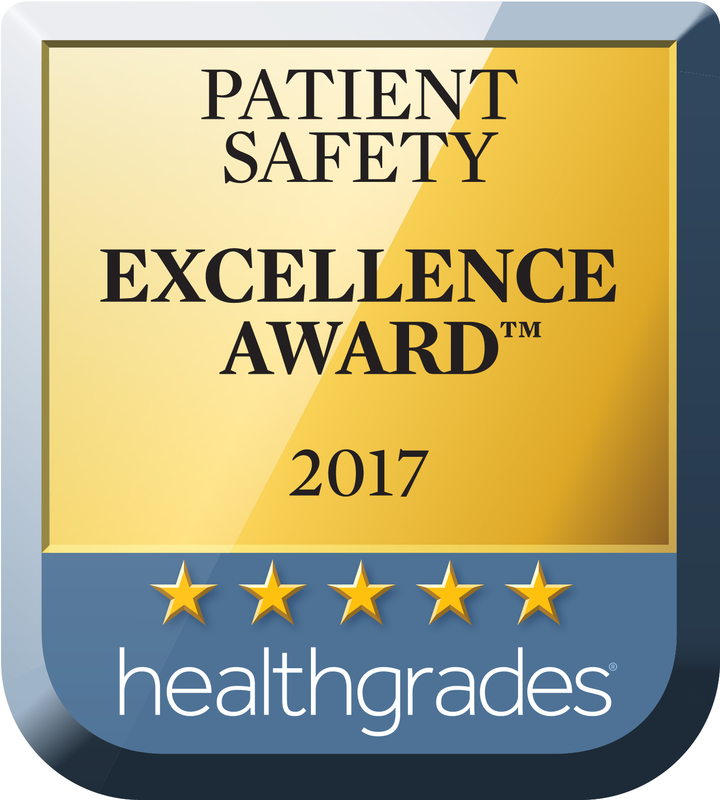 The SafeCare Group® (www.safecaregroup.com) was founded in 2010 to help hospitals excel in the areas of Patient Safety, Quality, and Efficiency through best-in-class PQE software, high quality people, and value-added services. The SafeCare Group created and published the CAUTI Bundle (used internationally), and the “I AM FOR SAFETY” 12-point Surgical Checklist as required by the Centers of Medicare and Medicaid, as well as several checklists to avoid hospital falls and decubitus ulcers. The SafeCare Group suite of software help hospitals improve HVBP, HRRP, and HACRP, and keep hospitals compliant with regulatory standards. The SafeCare Group published its first 100 SafeCare Hospitals® listing with the 2013 100 SafeCare Hospitals® to recognize hospitals that excel in evidence based areas that are required under the Affordable Care Act. At Uvalde Memorial Hospital our mission is to promote the healing of those we serve by providing compassionate, high-quality healthcare. We’re delighted to share some of the many ways we fulfilled that mission in 2014. Uvalde Family Practice Association and Uvalde Memorial Hospital are pleased to announce Chérie L. Hauptmeier, D.O. will be joining the practice and medical staff team in August 2014. Dr. Hauptmeier will enter Uvalde Family Practice Association with R. Steve Garza, M.D. and Richard B. Lutton, M.D. where she will practice family medicine and obstetrics. She will join L.P. Wegrzyn, M.D. who will be entering the practice in August as well. In addition, she will begin her time as a medical staff member with Erika B. Garcia, M.D. who will join Garner Field Family Medicine Practice in August alongside David C. White, M.D. and Kevin L. Uptergrove, M.D. “I absolutely love the scope of family medicine, especially obstetrics, and am so excited to start serving the community of Uvalde,” stated Dr. Hauptmeier. Born and raised primarily in South Dakota, Hauptmeier, D.O. graduated from the University of Northern Iowa and went on to receive her medical degree from Des Moines University College of Osteopathic Medicine in Des Moines, Iowa. Although her family remains in South Dakota, Hauptmeier, D.O. brings with her a cat, named Zuzu, and the support of her family as she moves to Uvalde. “My family has been my biggest support and I wouldn't be who I am if I hadn't had such a loving, supportive, incredible family to love me unconditionally through these long years of studying and training,” stated Hauptmeier, D.O. Dr. Hauptmeier made her way to Texas to complete her medical residency at CHRISTUS Santa Rosa Family Medicine in San Antonio. During her time at CHRISTUS she received honors of Chief Resident from 2013- 2014 and Physician of the Day at the Capitol in Austin in March of 2013. As a medical resident Hauptmeier has also taken part in a medical mission trip to Oaxaca, Mexico and been involved in an obesity prevention group, diabetes education, and sports physicals. "We feel fortunate to have found these two very special physicians to join our Uvalde medical community,” stated Dr. Rick Lutton regarding Hauptmeier and Wegrzyn. “They uphold our values and their enthusiasm is very exciting for our office. We look forward to a long-lasting relationship," Lutton added. Dr. Hauptmeier has an array of research experience including studies involving nutritional and diabetic education, the growth of Leukemic cell lines, and more. “Dr. Cherie Hauptmeier has received excellent training, and will provide the best possible care to our patients. Uvalde and the surrounding communities will soon learn what a wonderful person she is. It is with great pleasure that Dr. Lutton and I welcome her to our medical practice,” stated Dr. Steve Garza. Dr. Hauptmeier’s impression of Uvalde has been nothing but positive and she is looking forward to the move. “I love it! The people here are so kind and welcoming. The town itself has historical character, which I really enjoy and appreciate. Uvalde actually reminds me very much of a small town I lived in for a few years as a child. Some of my richest memories are from living in a similar smaller community and I want the same for my family someday. I'm really looking forward to getting involved and meeting more people here,” Dr. Hauptmeier stated. “I'm looking forward to getting out of the city and into a quality place to live and grow,” she added. Dr. Hauptmeier will begin seeing patients August 4 and is currently accepting applications for new patients. New patient applications can be submitted to Uvalde Family Practice Association located at 1800 Garner Field Road. For additional information on becoming a patient please contact the Uvalde Family Practice Association office at 830-278-4453. Uvalde Family Practice Association and Uvalde Memorial Hospital are pleased to announce Lawrence P. (L.P.) Wegrzyn, M.D. will be joining the medical staff team in August 2014. Dr. Wegrzyn will enter Uvalde Family Practice Association with R. Steve Garza, M.D. and Richard B. Lutton, M.D. where he will practice family medicine and obstetrics. Dr. Wegrzyn will join Chérie L. Hauptmeier, D.O. who will be entering the same practice in August, as well and Erika B. Garcia, M.D. who will be joining Garner Field Family Medicine Practice in August. "We are very excited to bring these two young doctors to Uvalde to join Dr. Garza and I,” stated Lutton, M.D. “We've fully renovated the office and are ready to welcome more young families to our practice." “I love the city, the clinic, and hospital and am looking forward to getting established in time for dove and deer seasons,” stated Wegrzyn, M.D. regarding his move to Uvalde. Born in Denver and raised in Broomfield, Colorado, Dr. Wegrzyn graduated from the University Of Colorado Denver School Of Medicine after completing his undergraduate degree at Regis University in Denver, Colorado. With expertise in family medicine, from newborn to geriatric care, and women’s health and obstetrics, Wegrzyn completed his medical residency at CHRISTUS Spohn in Corpus Christi, Texas where he currently resides. Wegrzyn and his wife Alexandra Tarski Wegrzyn, formerly of Uvalde, and their two daughters, Olivia, age 4, and Charlotte, age 18 months, will all move to Uvalde. “My wife was raised in Uvalde and I spent time with the practice during medical school. Doctors Lutton and Garza both trained at my residency program and we stayed in touch throughout my residency. I was excited at the chance to join the practice when I realized that such a great opportunity was available in Uvalde for me and my family,” stated Wegrzyn, M.D. “Dr. Lutton and I have been anxiously awaiting the arrival of Dr. Wegrzyn for more than three years. He completed a medical student externship in Family Medicine with us, and let it be known that he was interested in returning to join our practice after graduation from medical school and completing his residency. We are so pleased to welcome him and his family back to Uvalde,” stated Garza, M.D. Dr. Wegrzyn will begin seeing patients August 4 and is currently accepting applications for new patients. New patient applications can be submitted to Uvalde Family Practice Association located at 1800 Garner Field Road. For additional information on becoming a patient please contact the Uvalde Family Practice Association office at 830-278-4453. As construction continues at Uvalde Memorial Hospital to replace the facility’s chillers and generator, project progress means slight adjustments to day to day activity. Since the project began in April, the parking lot located directly off of Garner Field Road has been partially closed but patient and visitor parking remain unaffected. The project, however, will call for slightly bigger adjustments to operation with the temporary closure of the hospital’s helipad from June 20- July 7 and again on October 1. Air transport capabilities will still be available but helicopters will land in the east parking lot in the interim. “Air transport services will be available regardless of construction but, as always, dependent on weather conditions. There will simply be a change in landing site,” said Julia Rodriguez, emergency department director. Construction taking place directly next to the helipad will mean that during the scheduled dates, air transports will be relocated to the east side of the facility and helicopters will land on Kessler Boulevard, in between Uvalde Memorial Hospital and the Kate Marmion Regional Cancer Medical Center. “Patients being airlifted will not be affected by the change. Patients will still be prepped for transport in the Emergency Department so, essentially, air transport patients will just exit through a different door to get to the helicopter,” explained Rodriguez. The hospital’s security and plant operations team will work together to carry out the process of blocking off parking, assisting the helicopter with landing, and redirecting traffic during any air transport. 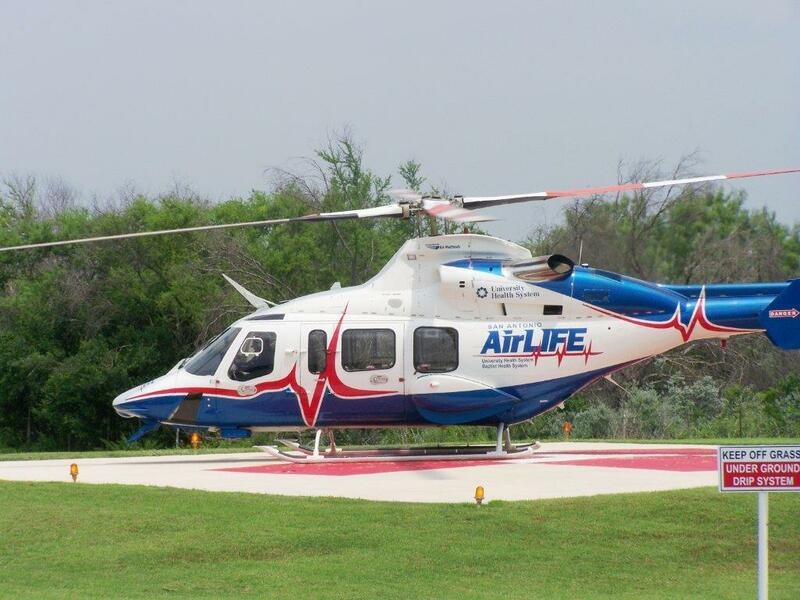 “While traffic will be temporarily blocked during these landings, AirLIFE will make every effort to keep onsite time to a minimum following their goals and guidelines, as usual. If for any reason an anticipated prolonged time on site occurs, the helicopter will land at UMH, unload their transport team, wait at the airport and return when the patient and crew are ready for transport,” Rodriguez said. The temporary landing location was evaluated and selected by AirLIFE pilots, hospital security, and the hospital plan operations team as an ideal location. Hospital and AirLIFE officials do not anticipate any issue with number of transports during the temporary closer despite the July 4 holiday falling into the allotted time period. During the same period in 2013, 10 air transports took place hospital-wide. At their monthly meeting held on Monday, June 2, the Uvalde Memorial Hospital Auxiliary heard a brief presentation, introduced by Pat McFarland, from Uvalde Memorial Hospital radiology director Ralph Gonzalez. Gonzalez reviewed details of the Women’s Imaging Center, opened in April, with the group. He started by explaining the project began over four years ago with community focus groups to learn about what patients truly wanted in an imaging center. Based on results from the focus group, the project proceeded and has led to the opening of a center that revolves around women. 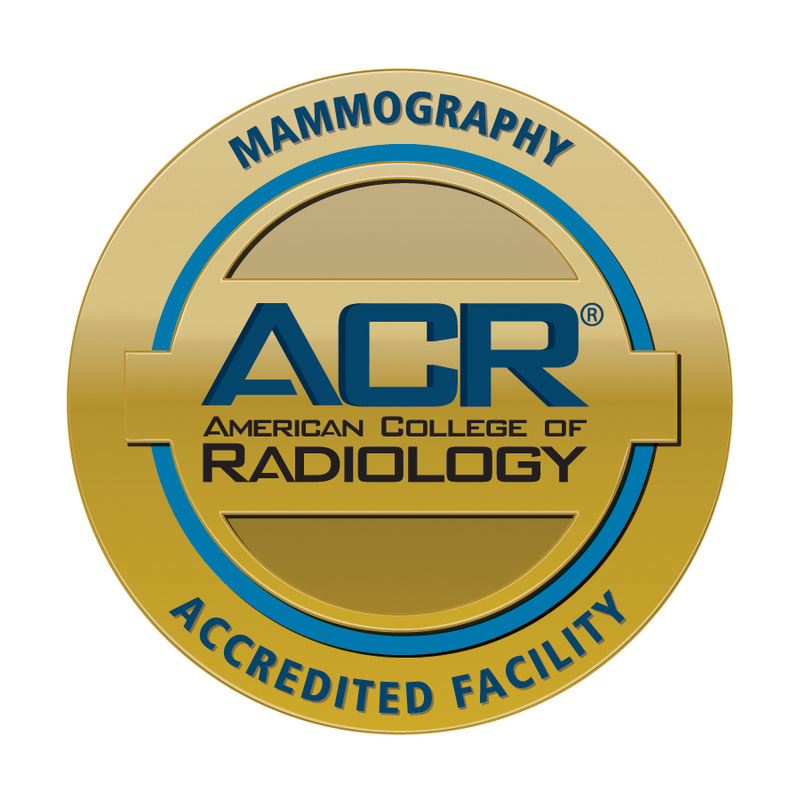 It provides a private, comfortable, and feminine centered environment for mammography, ultrasound, biopsy, and bone density studies. He then discussed the equipment housed in the Women’s Imaging Center and explained how it compares to other facilities. “Our technology rivals just about anything you can find in San Antonio or other urban areas. We are fortunate to have a medical staff and executive team that values making the best imaging equipment on the market available locally for our patients,” Gonzalez stated. Gonzalez shared that the new Philip’s MicroDose Digital Mammography unit produces up to 70 percent less radiation than the hospital’s previous analog unit and also less radiation than other digital units on the market. He explained that in addition to the quicker exam time, the unit it is said to provide a more comfortable exam. Clearer images are also a benefit of the new unit and result in the ability to potentially identify smaller lesions sooner. The Hologic Platinum Stereotactic Biopsy table was also highlighted. Biopsy procedures completed using this method and equipment are less invasive among other benefits. Following the presentation, Pat McFarland and Sissy Parham presented members with bars for hours of service. Top honors went to Evelyn Hutchinson with 10, 500 hours. Charles Lemon received honors for 5,000 hours. Shirley Cummings, Pat McFarland, and Sherley Wentz hit the 3, 500 hour milestone. Cleo Lemon reached 3,000 hours. Mary Dirksen and Olivia Castillo received bars for 1,500 hours and Loretta Warren, Millie Verstuyft, and Janet Hines were recognized for 1,000 hours of service. In other business, Jeanne Leake, chief nursing officer, discussed the hospital’s recent partnership for nutrition and environmental services with a management company, HHS, out of Austin, Texas. Leake also shared with the volunteers that hospital staff is completing the annual budgeting process. Charles and Cleo Lemon discussed their attendance at the annual Texas Association of Healthcare Volunteers convention on May 19-21 in Galveston, Texas. Eddie McKinney read the thought of the day; Barbara Hogan read minutes from the previous meeting; Cleo Lemon gave the treasurer’s report; and the gift shop and information desk schedules were reviewed. Shirley Wentz gave the beautification report and discussed nursing scholarship applications. Applications are due June 30 and interested individuals can visit www.umhtx.org for additional information. The Auxiliary will meet again on Monday, July 7, at 10a.m. in the Wrather Holmgreen Conference Room at Uvalde Memorial Hospital. If you are interested in becoming a member of the UMH Auxiliary, please contact Rebecca Taylor, director of volunteer services, at 830-278-6251 ext. 1474. After completing the Babysitter’s Training Course on June 9 at Uvalde Memorial Hospital, 17 area teens are newly certified by the American Red Cross for babysitting. Taught by Pauline Garcia, clinical and community educator at Uvalde Memorial Hospital, the fun and fast-paced class included hands-on activities, videos, role-plays, take-home training materials, and interactive discussion. Participants included Sara A. Balderas, Shelby Colvin, Kayla K. Curtis, Paris Davis, Olivia Evans, Sky Galvan, Thomas B. Garcia, Anna Hiebert, Brooke Kolacek, Hope Lopez, Lysset Medina, Ariana Perez, Tressa Reading, Bryanna Rodriguez, Reba Rodriguez, Jackson Taylor, and Ruben Zamora. The next Babysitter’s Training course offered by the hospital will be held Wednesday, August 13 beginning at 8:30am in the Education Conference Room. There is a $30 fee per student. Space is limited so please register early to reserve a seat. Attendees should pack a lunch for the all-day class. To learn more or register, contact course instructor Pauline Garcia at 830-278-6251 extension 1516. Uvalde Memorial Hospital has announced their decision to partner with Hospital Houskeeping Systems (HHS) and Culinary Nutrition Solutions (CNS), a division of HHS, to enhance the hospital’s current nutritional and environmental services departments with custom programs. The decision was made following board approval on April 22. Based out of Austin, HHS has been providing support services in the health care industry for more than 39 years, offering customizable, packaged, or individual solutions to improve hospital operations for efficiency, cost, and a more positive patient experience. Their hospitality programs have a proven track record of directly impacting customer satisfaction scores: the average HHS partner improved their Hospital Consumer Assessment of Healthcare Providers and Systems (HCAHPS) scores by 7 percent in year one and 14.2 percent over four years. A leader in the industry, the company has extensive experience and has grown to provide environmental services for more than 275 healthcare communities nationwide. The HHS culinary and nutrition team was named a 2013 Top 50 Contract Management Company by Food Services Magazine. In 2010, HHS expanded to include CNS, a division which provides locally-sourced and organic, high-quality food service options to hospital patients across the nation and was named a "company to watch" by Food Service Magazine. They serve dozens of hospitals across the nation that range in size and scope from rural critical access hospitals to urban, 500+ bed medical centers. Head Chef and director Jason Leslie is joining Uvalde after serving as director at Baton Rouge General Hospital. Prior experience includes his role as the Banquet Chef at the Ritz Carlton in Boston, and Food Service Director at Southern Oaks Athletic Club, where he managed all food service operations and redesigned the menu and retail offerings to include a weekly wellness feature that improved patient satisfaction. Leslie is the recipient of a National Defense Service Medal and Air Force Training Ribbon and served as a Tactical Aircraft Maintainer for the United States Air Force in Texas. He enjoys hunting, fishing, playing tennis, and spending time with his family. Over a six month time span the hospital’s environmental and nutritional services will undergo changes. A remodel of the kitchen will enable nutritional staff to work more effectively and efficiently. Food options will be expanded for patients and visitors to the Green Tree Café. Each patient within the hospital will be represented by a food ambassador from the nutritional department who serves as an advocate for the patient’s daily dietary needs. The decision to partner with the specialty company was driven by the heightened focus on quality of patient care and HCAHPS scores initiated by the Affordable Care Act. The transition was also based on the desire to provide the highest cleanliness and infection control practices possible for environmental and nutritional services within the hospital. HHS manages programs for healthcare facilities focused on one thing: total customer satisfaction. HHS’s intention is to focus efforts on improving outcomes and provide enhanced training and guidance by the highly skilled HHS management staff. Hospital staff within the environmental and nutritional departments will remain employed by Uvalde Memorial Hospital while management staff will be employed through Hospital Housekeeping Systems. Uvalde Memorial Hospital is pleased to unveil their new uHealth portal which will be available to all patients in June of 2014. This interactive web portal will empower patients and their families to take a more active role in their care by providing easy, secure access to their health information and online communication with hospital staff. uHealth gives patients instant access to their health information, including laboratory and radiology reports, medications, allergies, demographic information, visit history, and more. In addition to handling their own care, parents and health care proxies with authorized consent will appreciate the ability to access the records of those individuals for whom they manage care. uHealth allows patients to view their appointments online. A central appointment page displays their list of scheduled and pending appointments. Here, the patient can review appointment details. uHealth also saves patients time by allowing them to pre-register for appointments online and submit updates to their demographic and contact information prior to their visits. Anyone interested in enrolling in uHealth should contact Uvalde Memorial Hospital at 830-278-6251 extension 1164 or visit www.umhtx.org. Uvalde Memorial Hospital encourages all patients to enroll in uHealth, as it presents a valuable opportunity for patients and their families to actively participate in their care, which contributes to better health. Want to learn more about uHealth? Click Here!